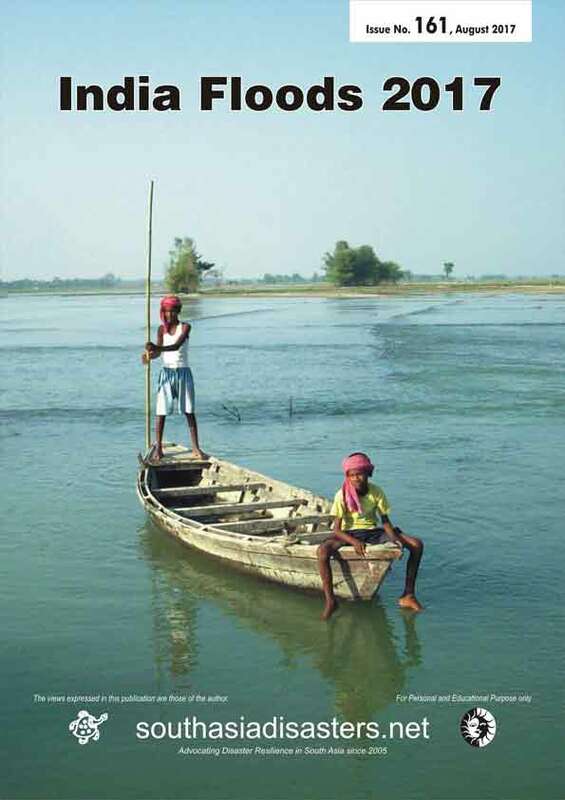 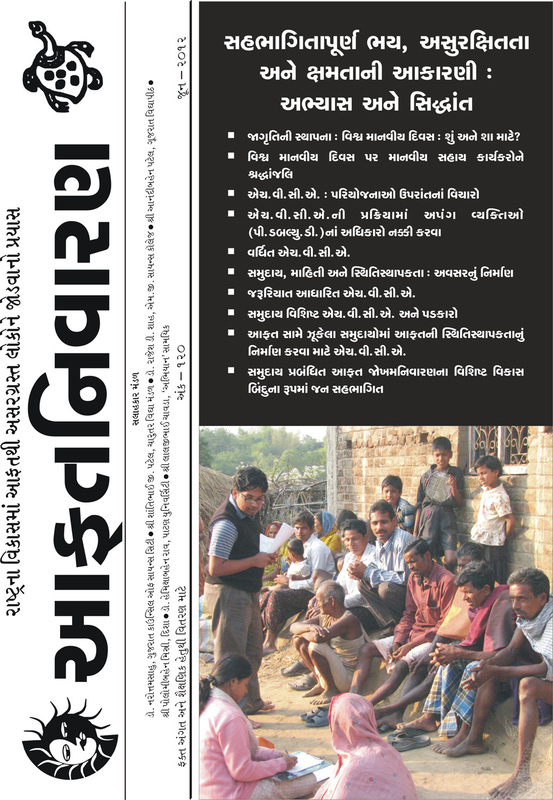 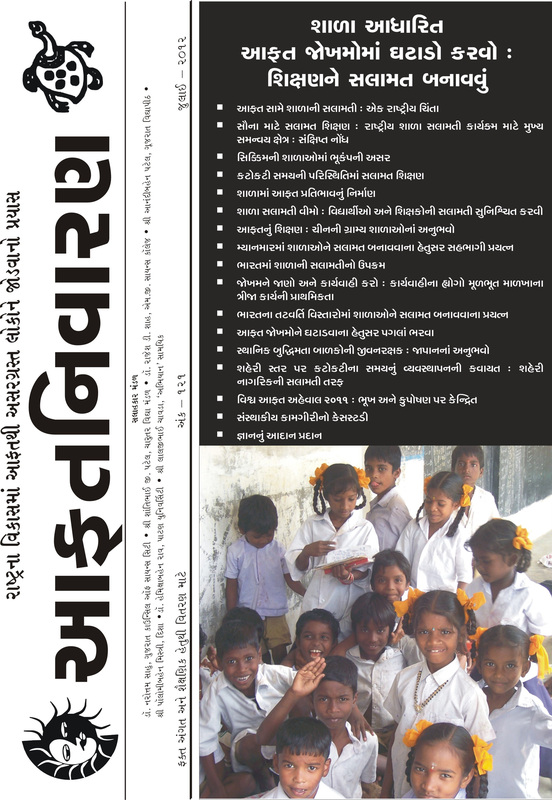 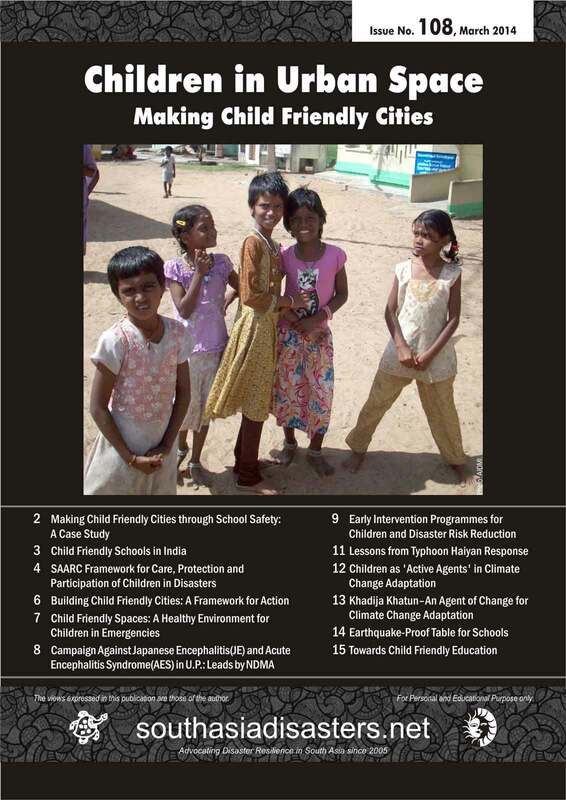 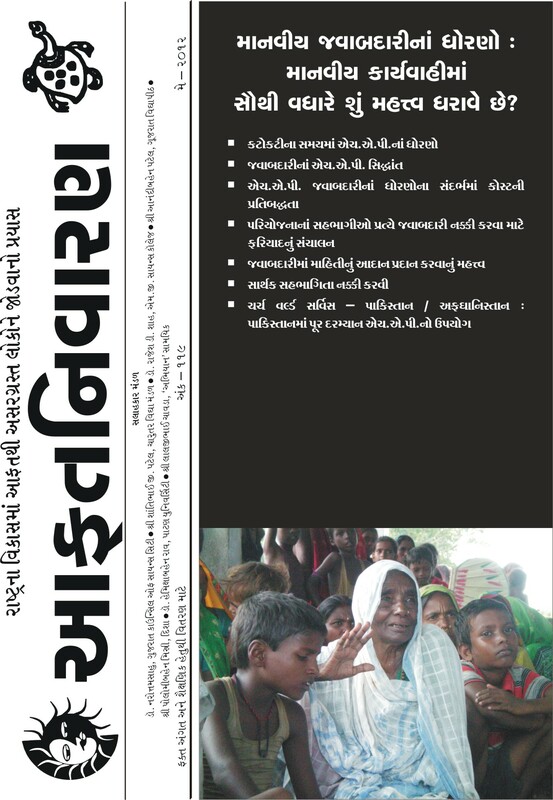 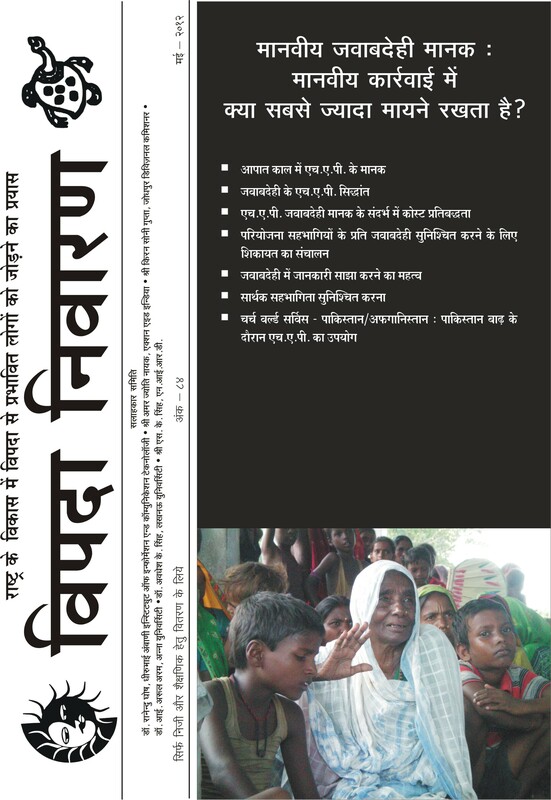 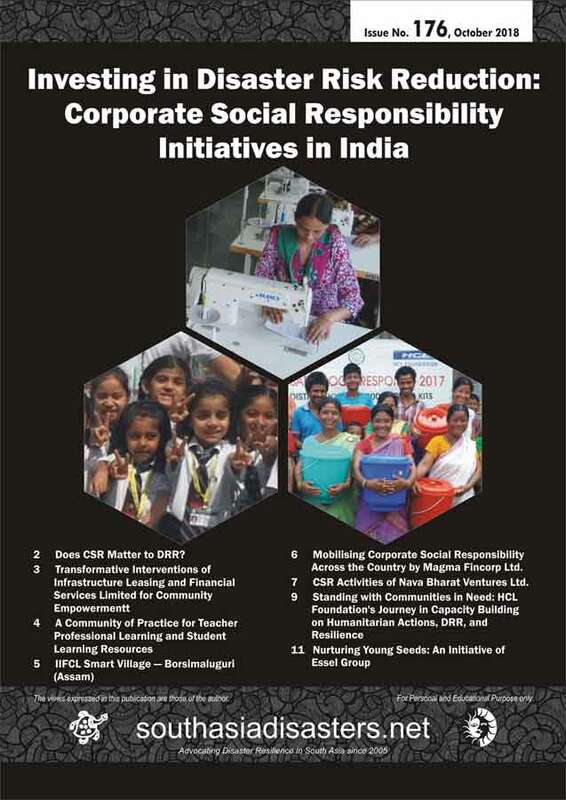 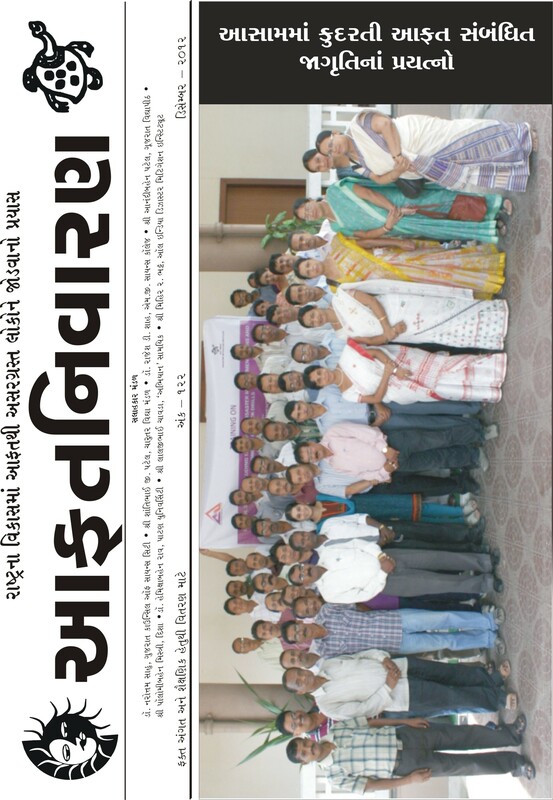 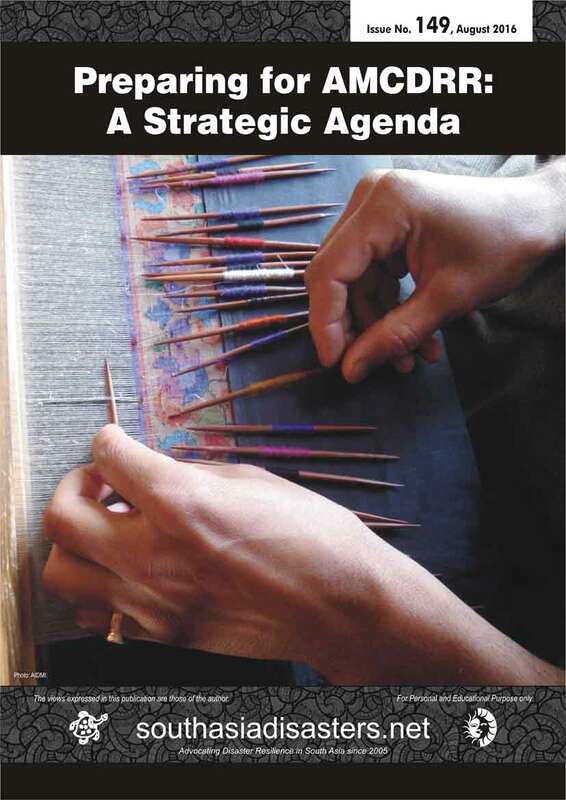 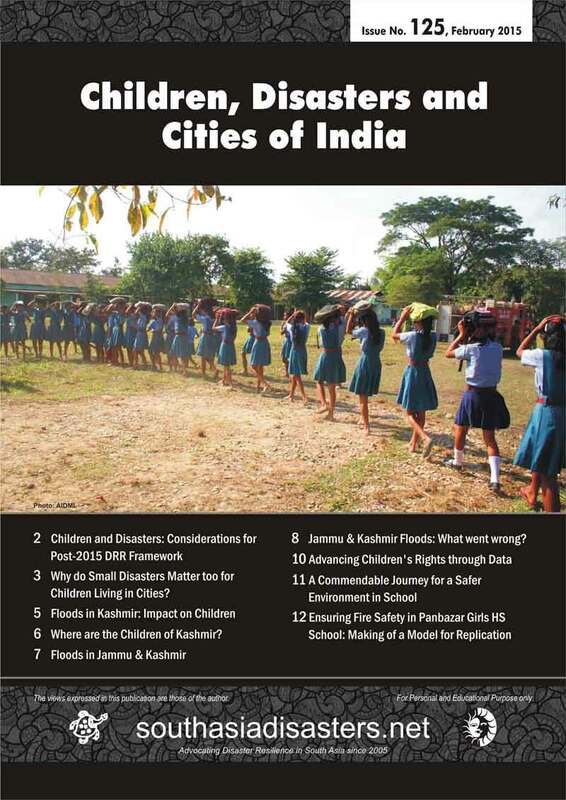 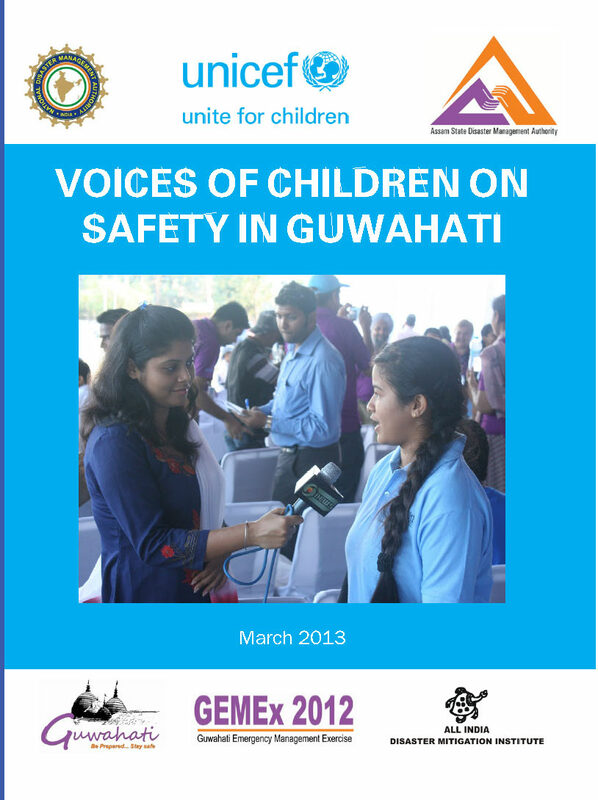 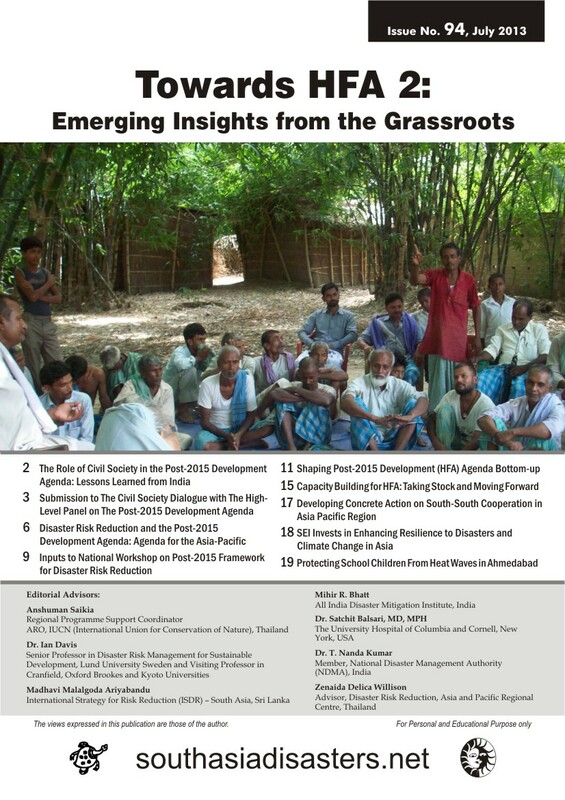 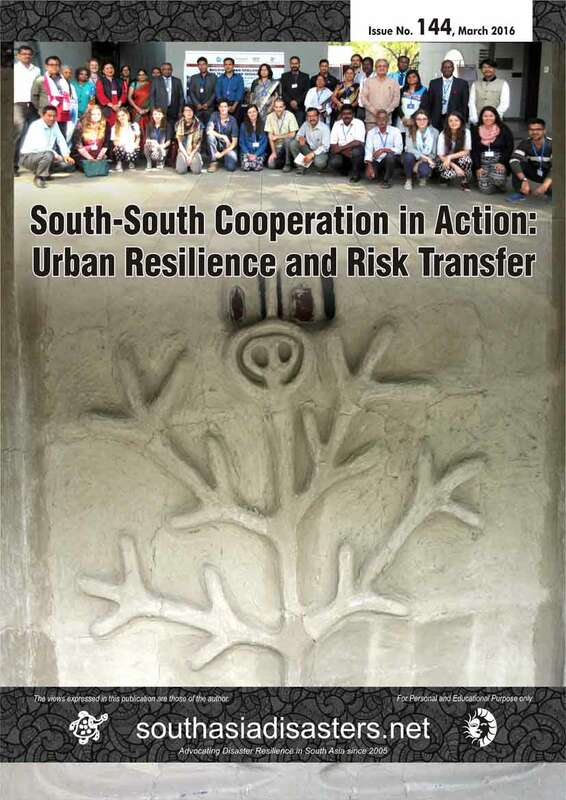 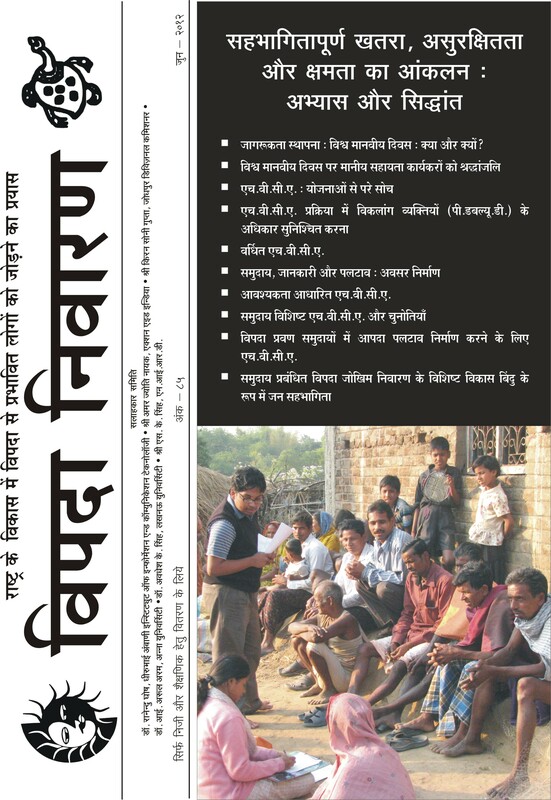 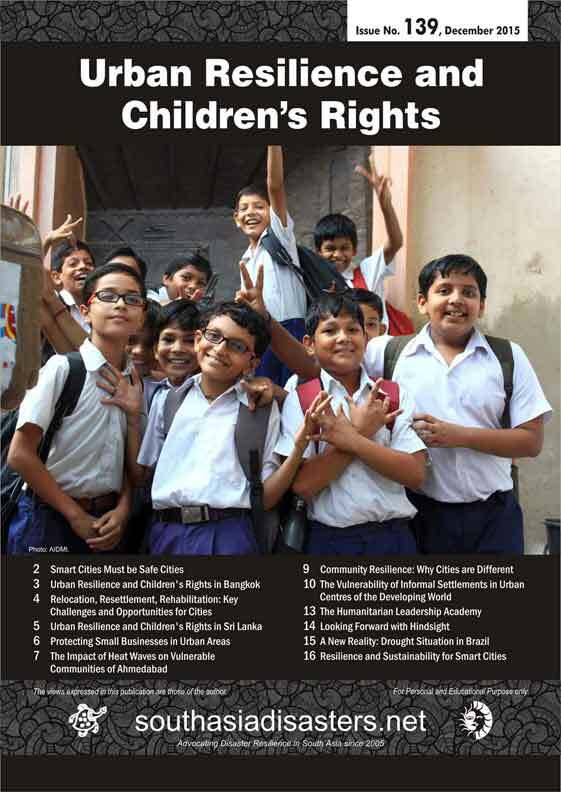 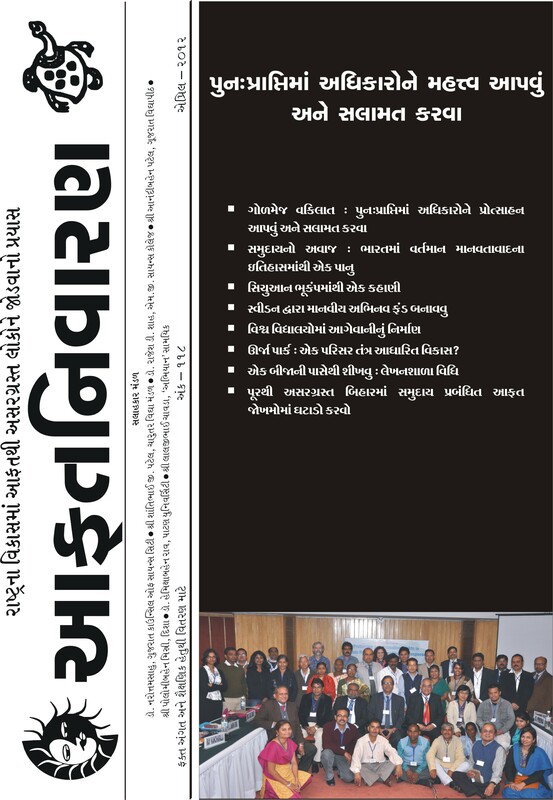 Publications for community organisations, government agencies and organisations – Southasiadisasters.net (in English), Vipada Nivaran (in Hindi) and Afat Nivaran (in Gujarati) – are disseminated all across the world online. 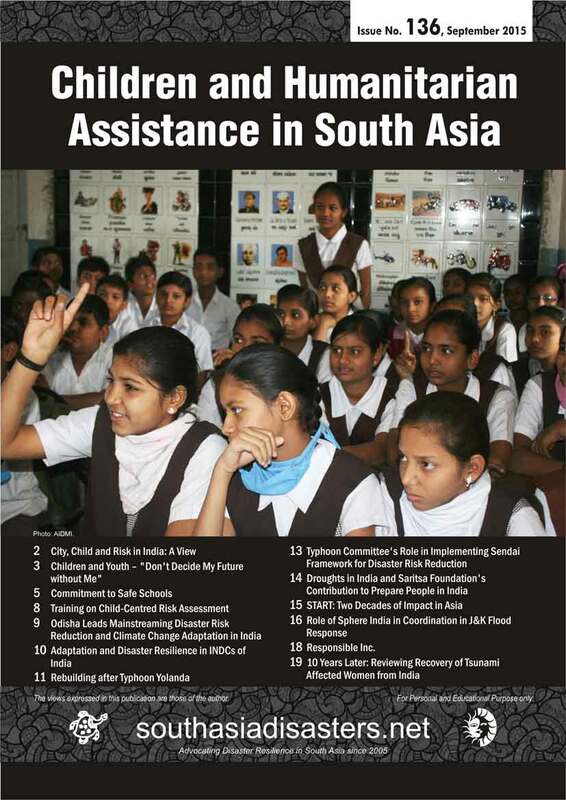 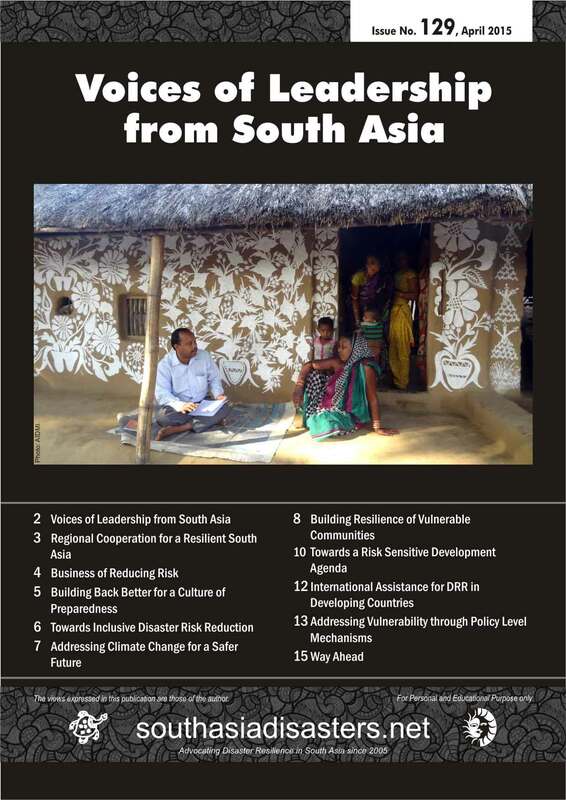 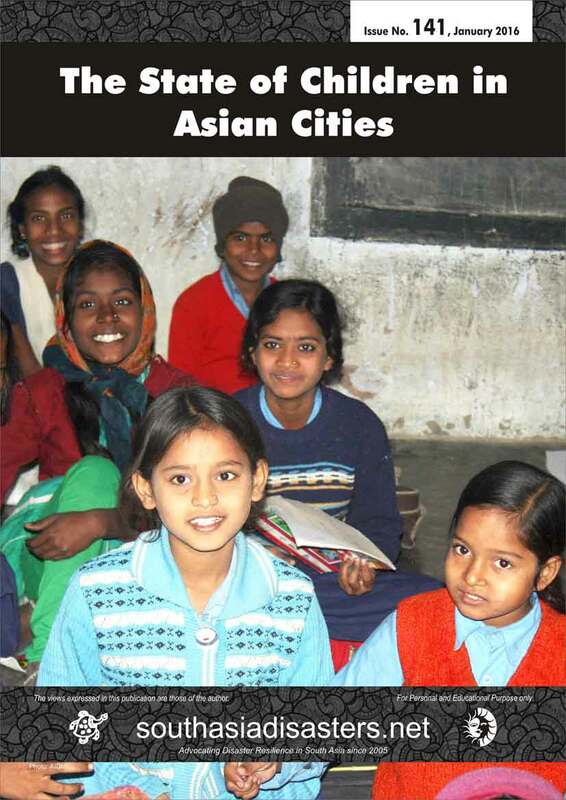 We have recently completed more than 180 issues of Southasiadisasters.net. 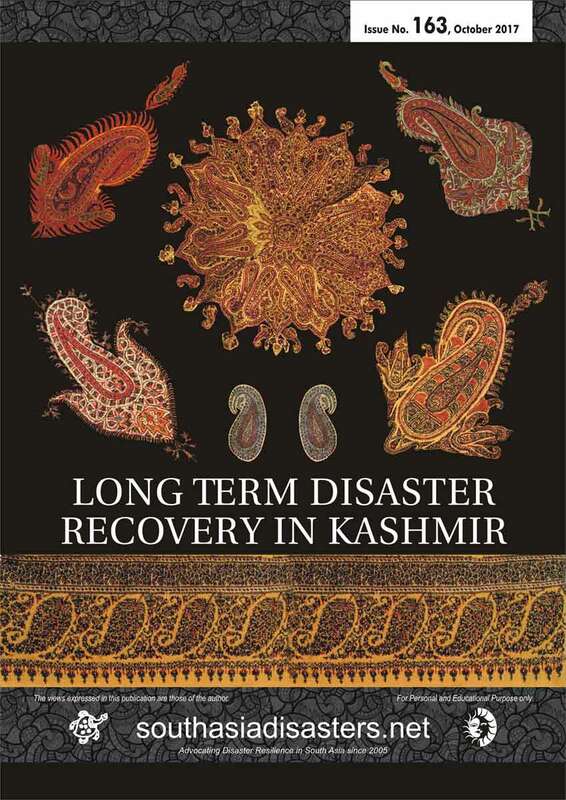 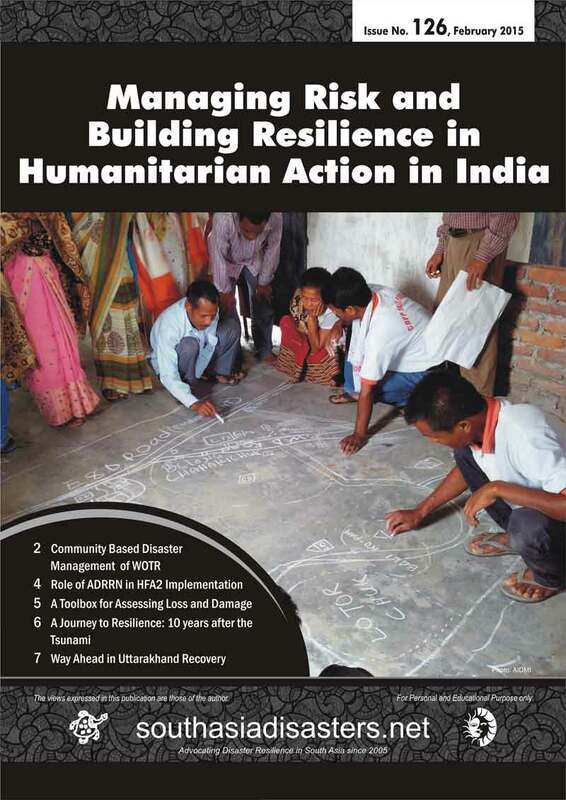 This success was possible due to the contribution of over 800 writers belonging to 622 organizations from India and 39 countries, covering 17 disasters, spanning over 45 themes and 16 important national and international policy discourses. 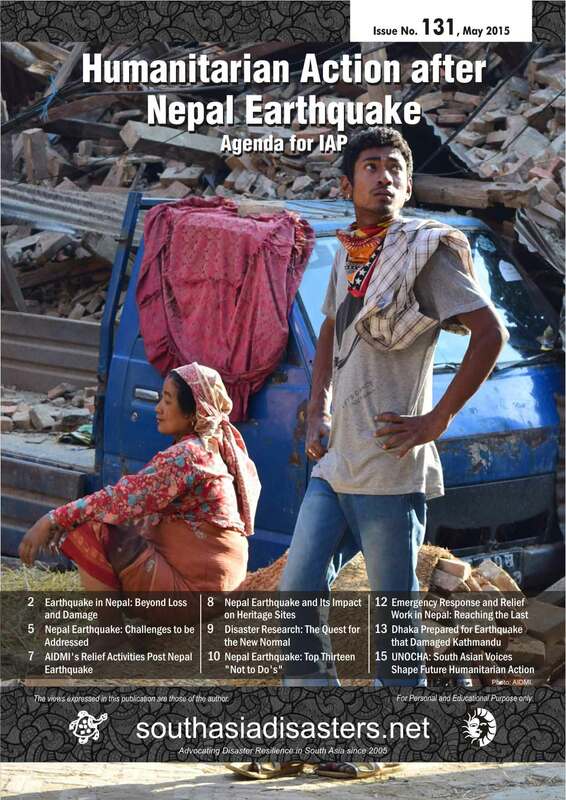 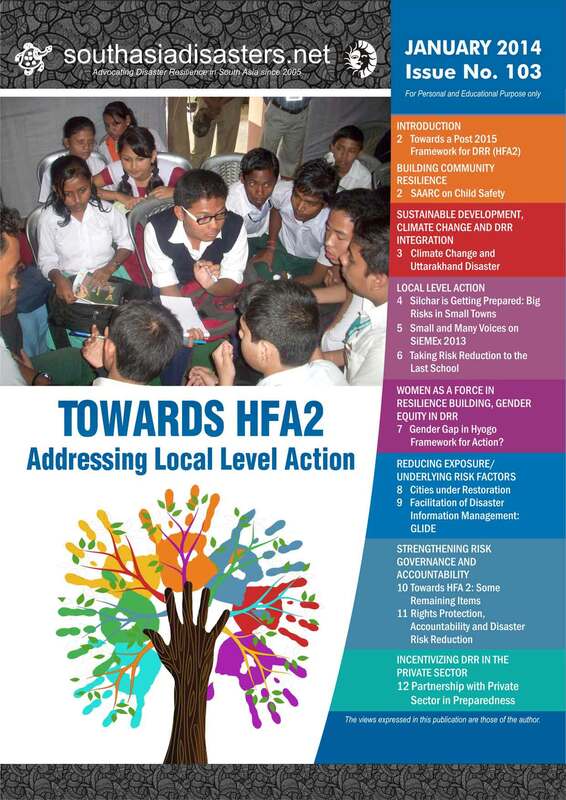 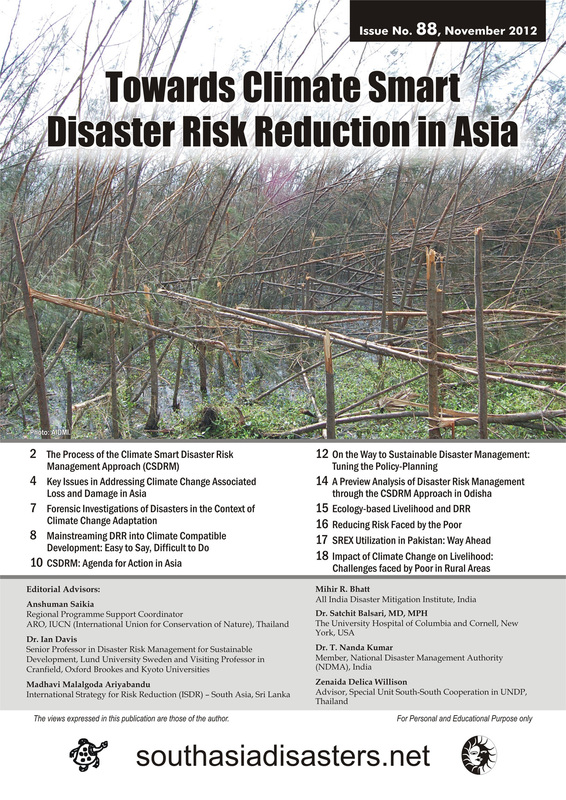 Perhaps this is the longest and largest effort to capture disaster risk reduction in action in Asia. 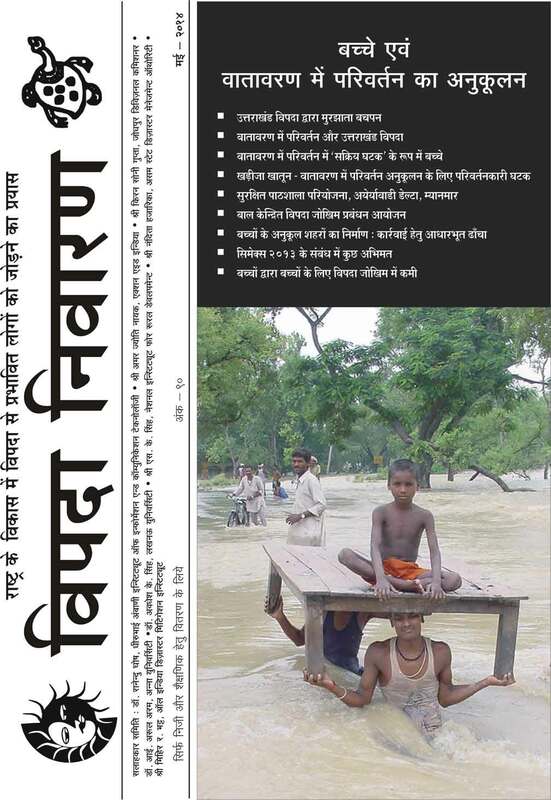 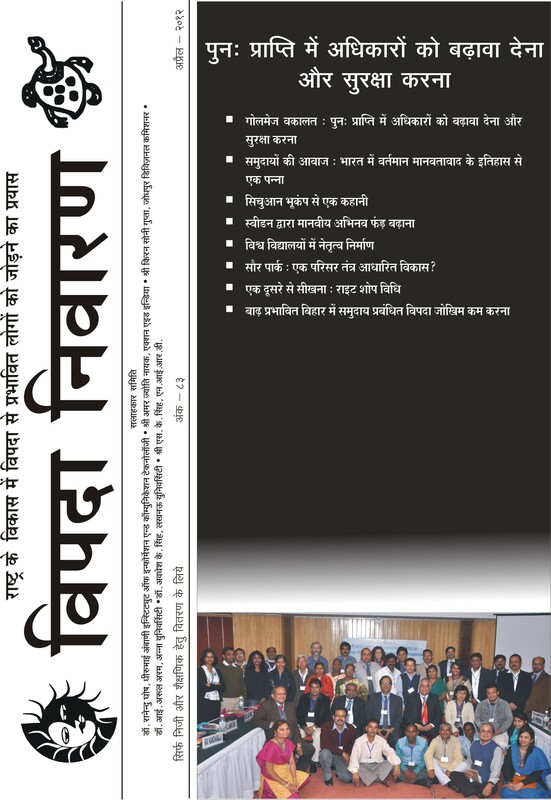 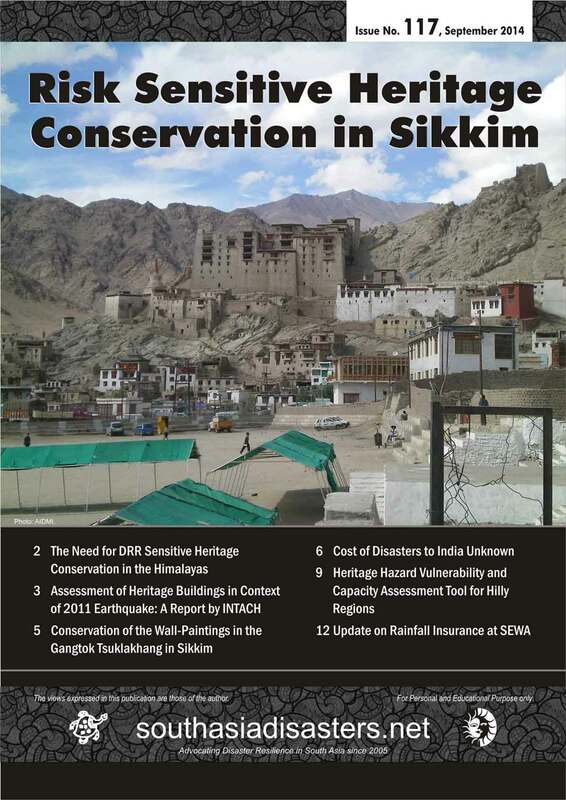 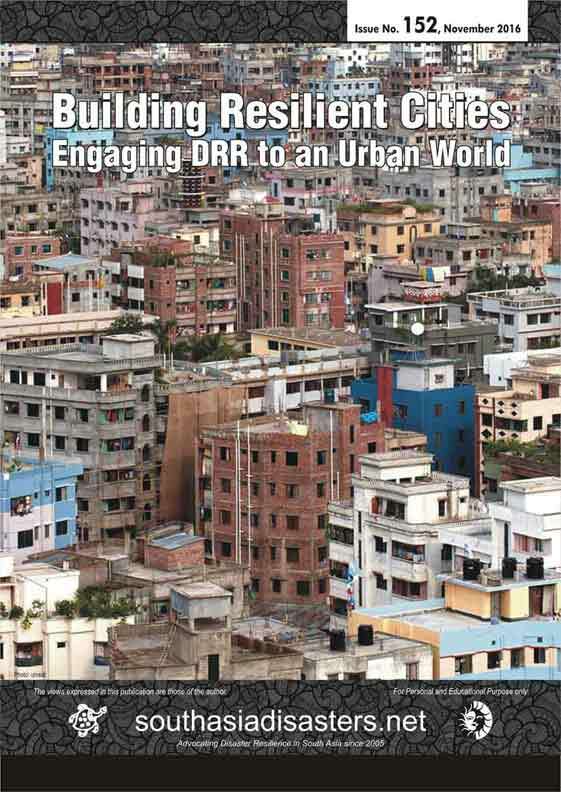 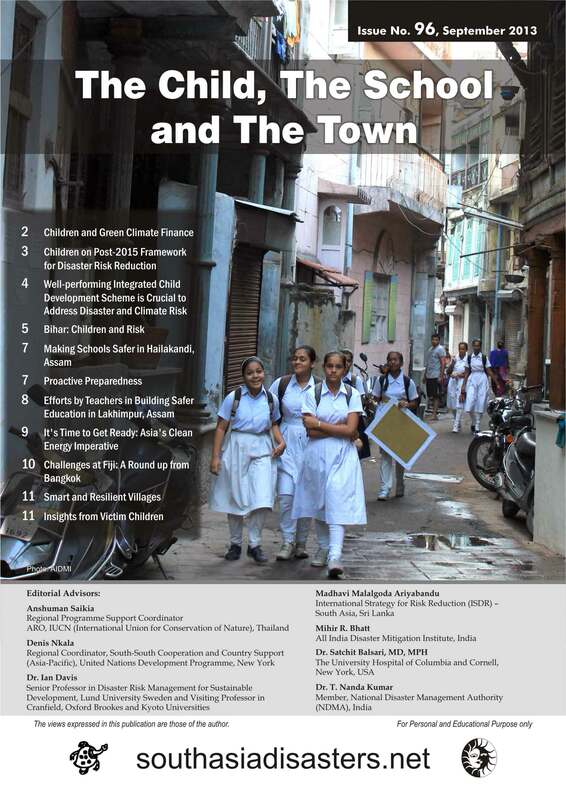 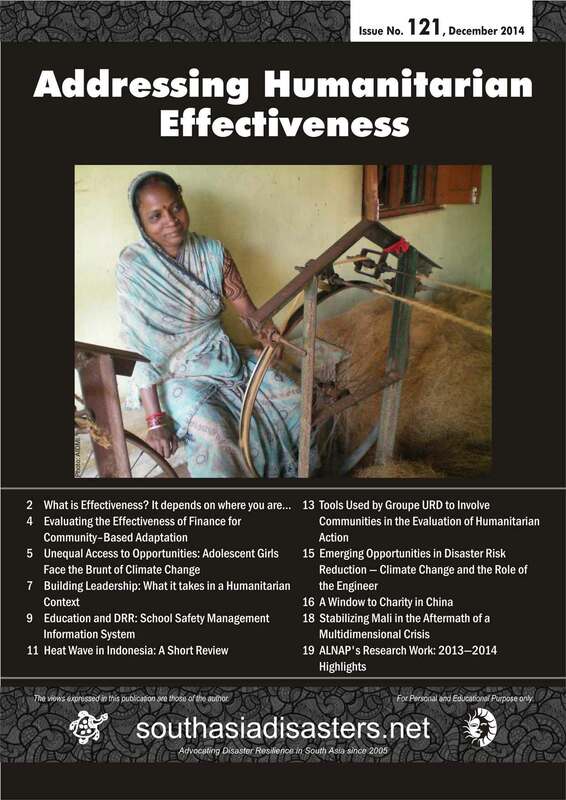 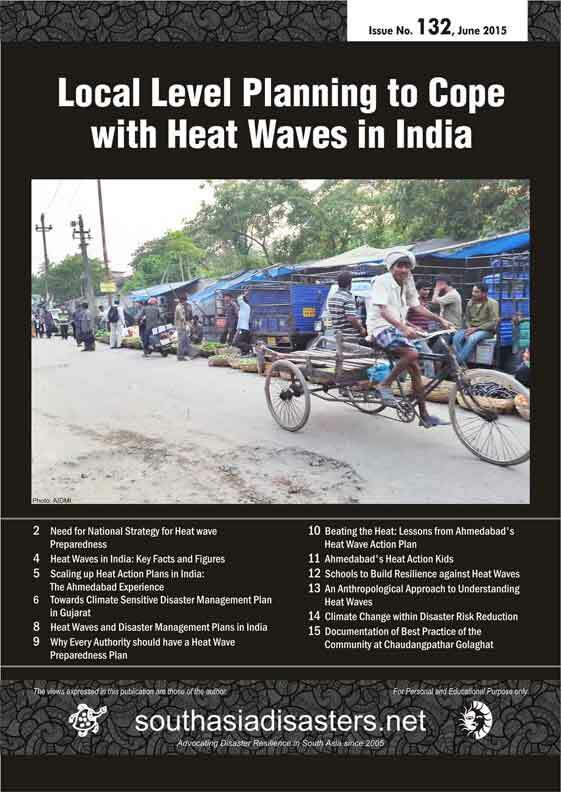 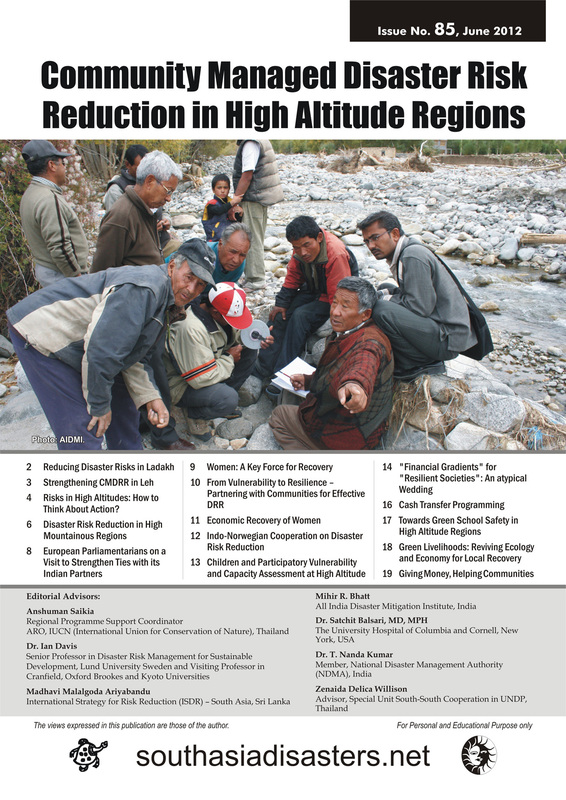 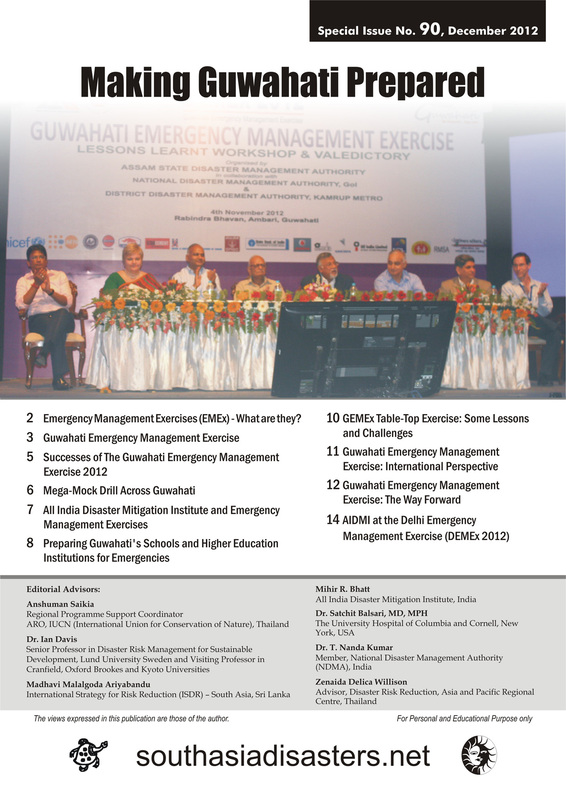 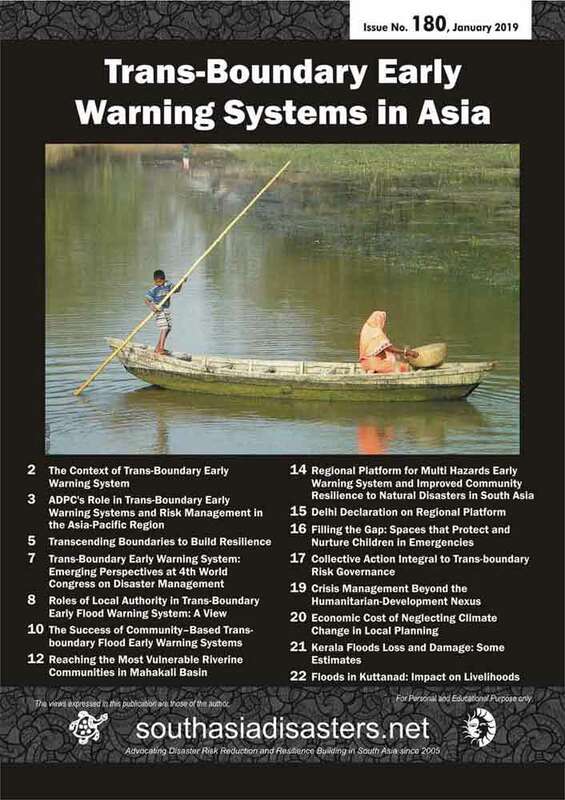 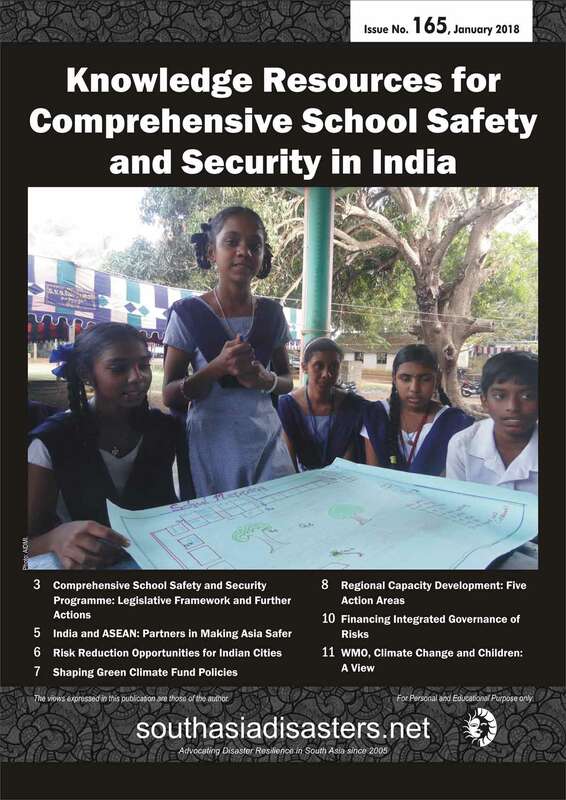 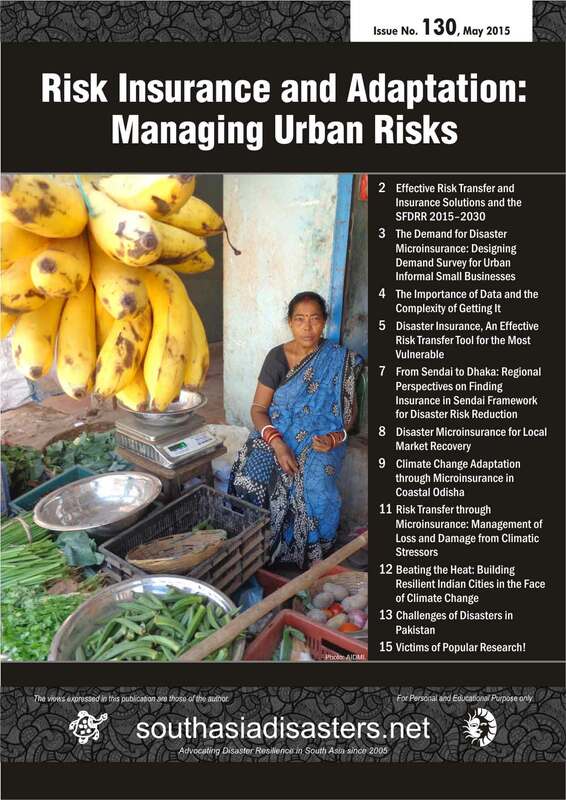 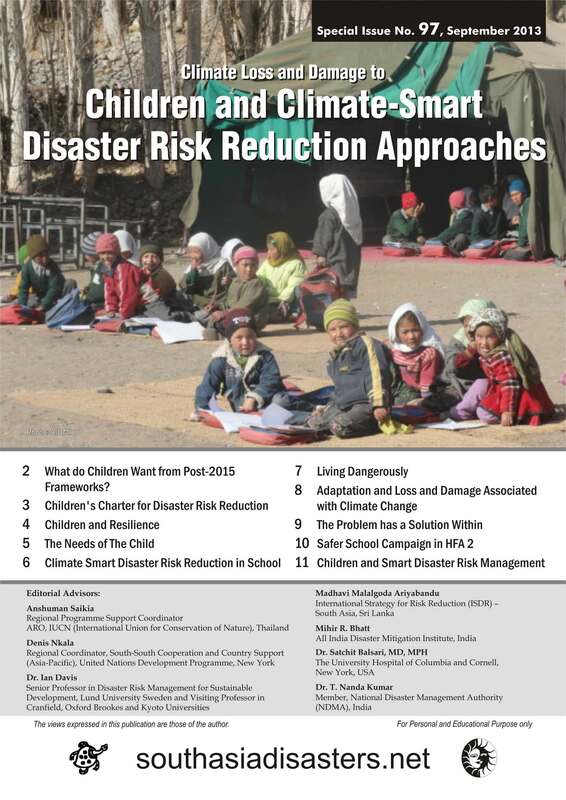 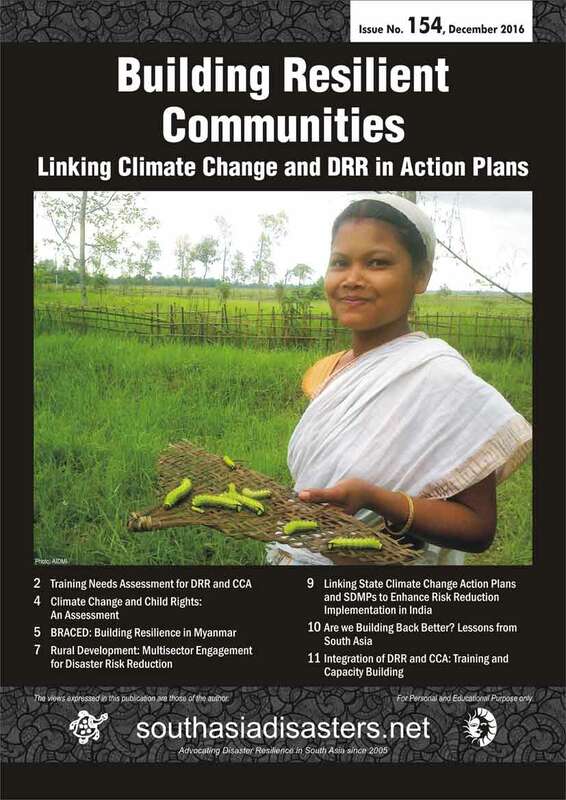 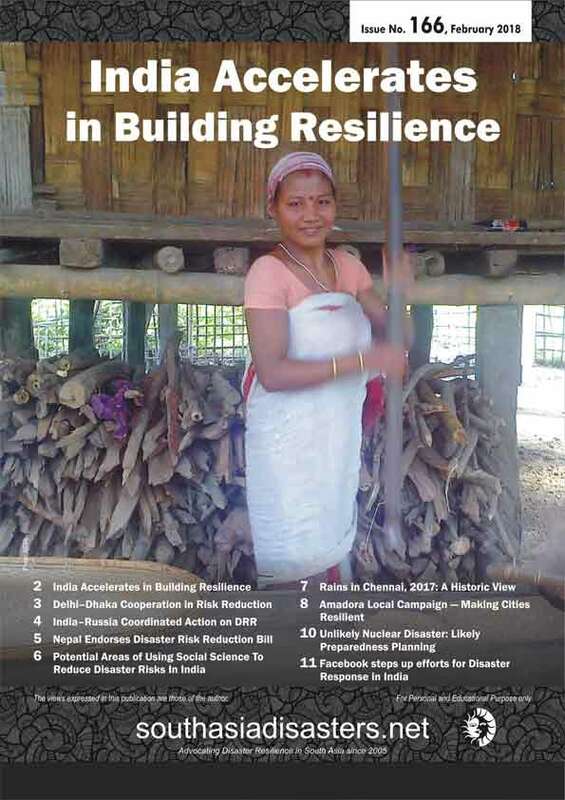 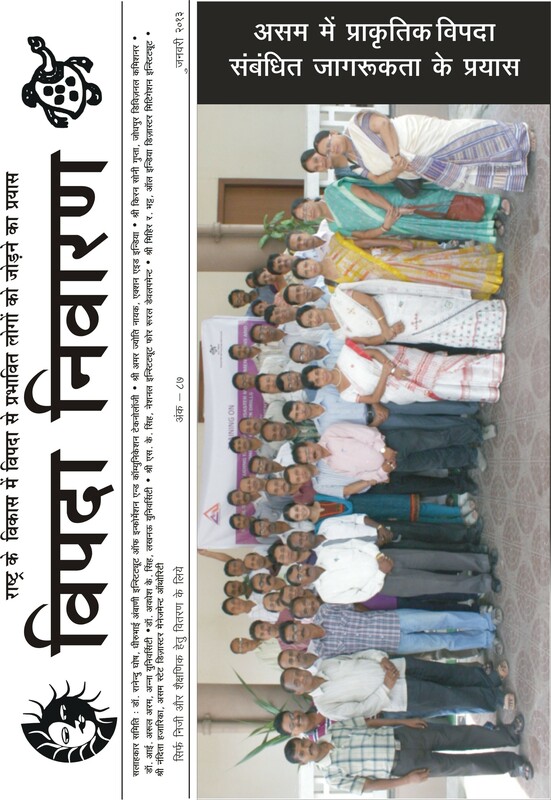 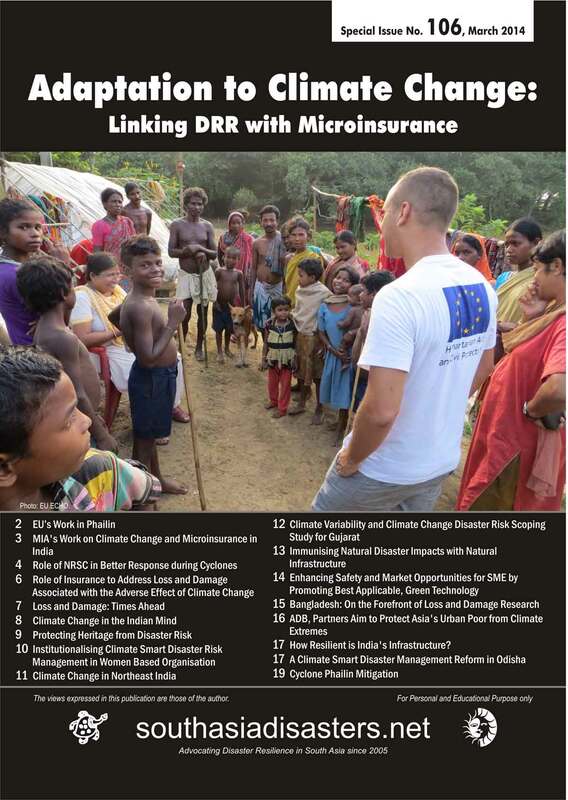 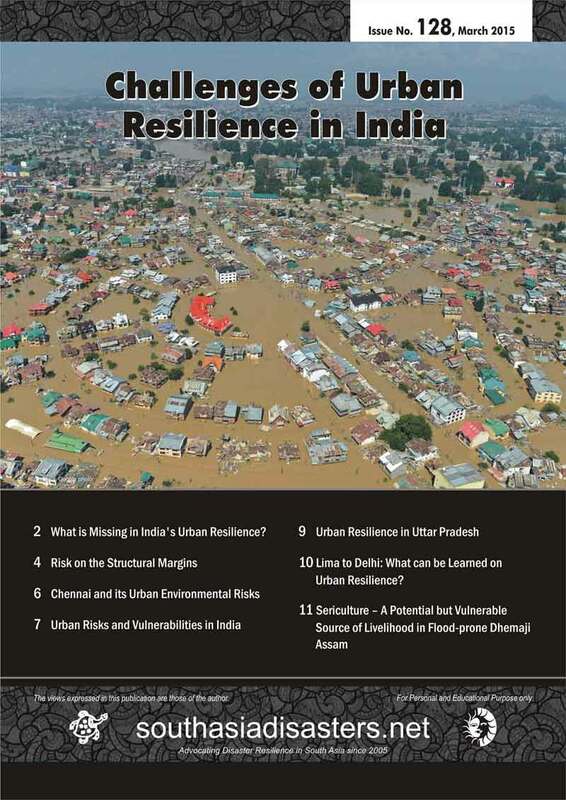 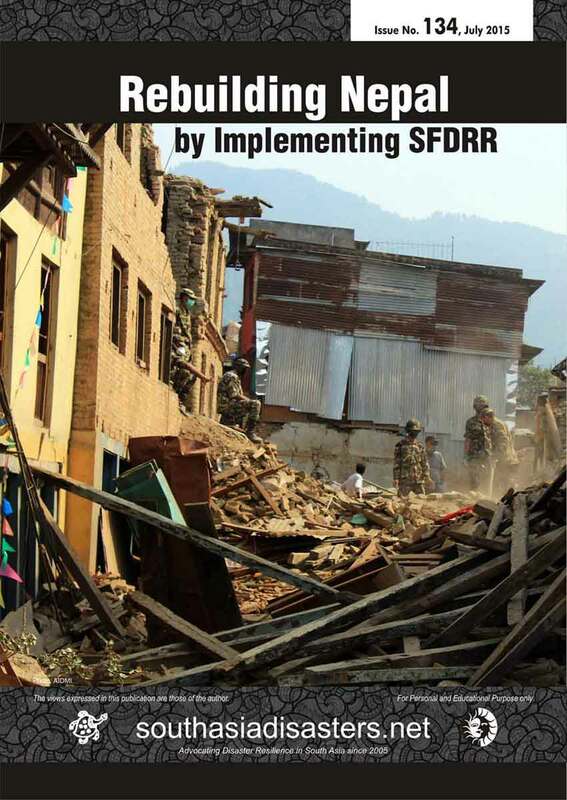 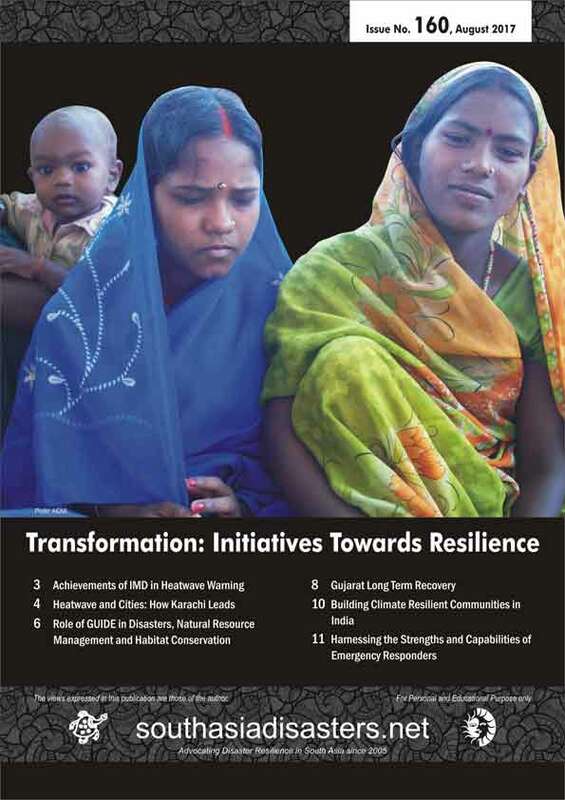 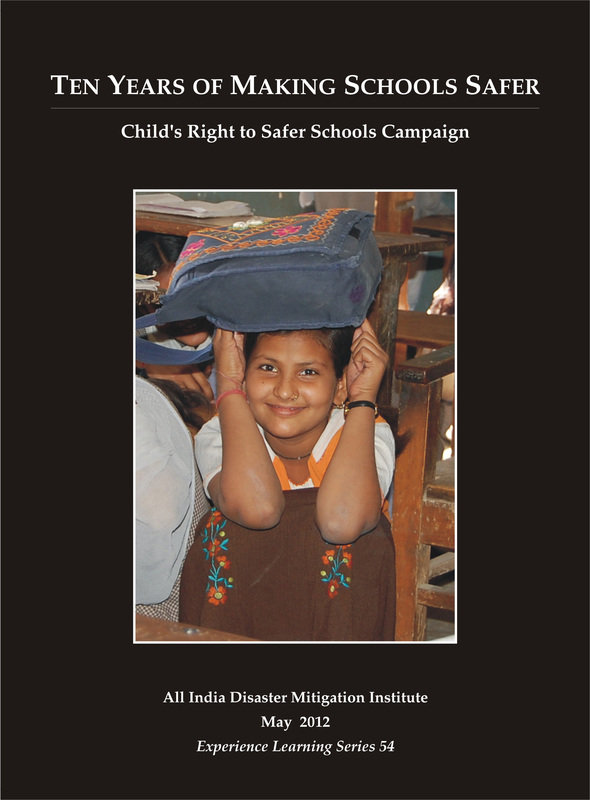 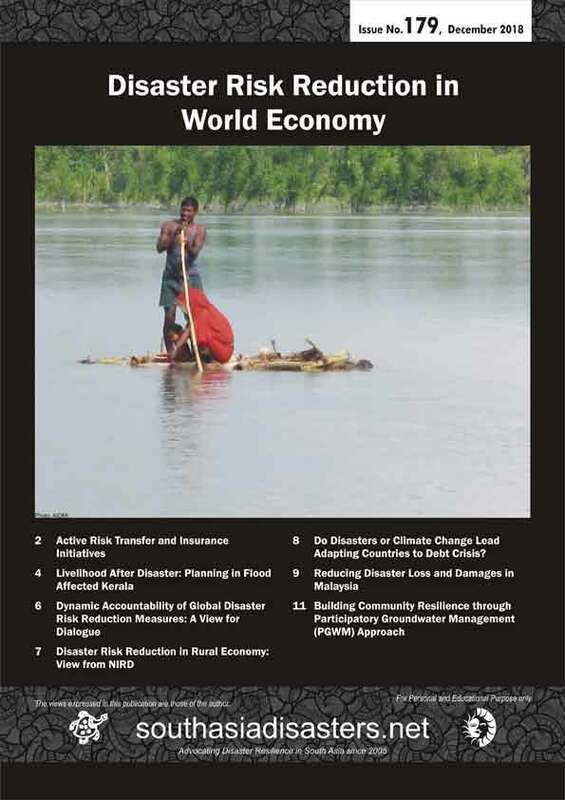 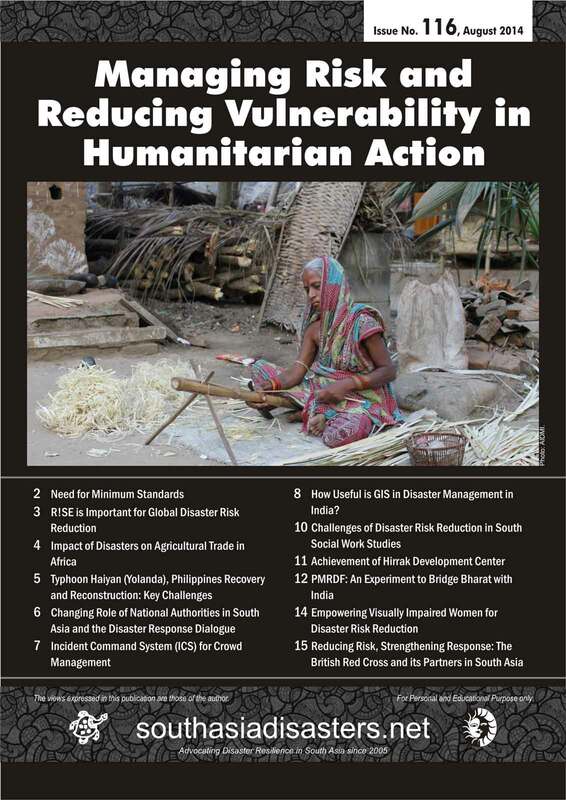 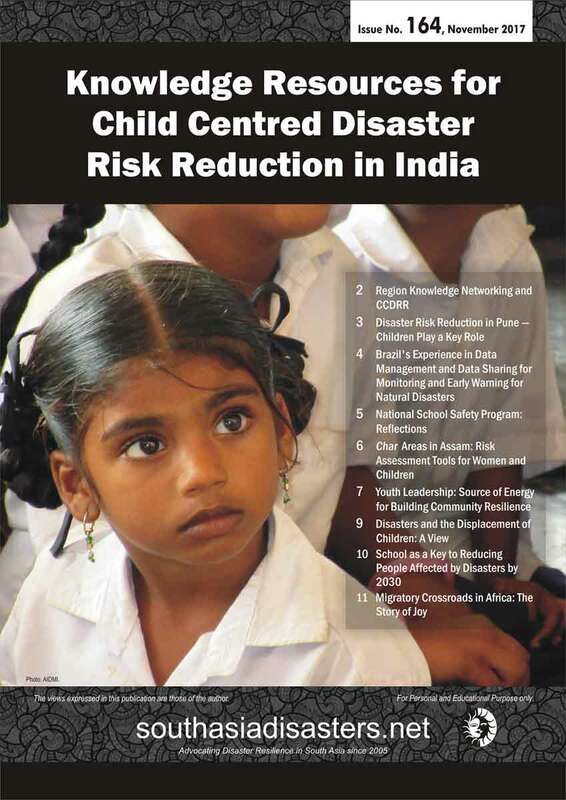 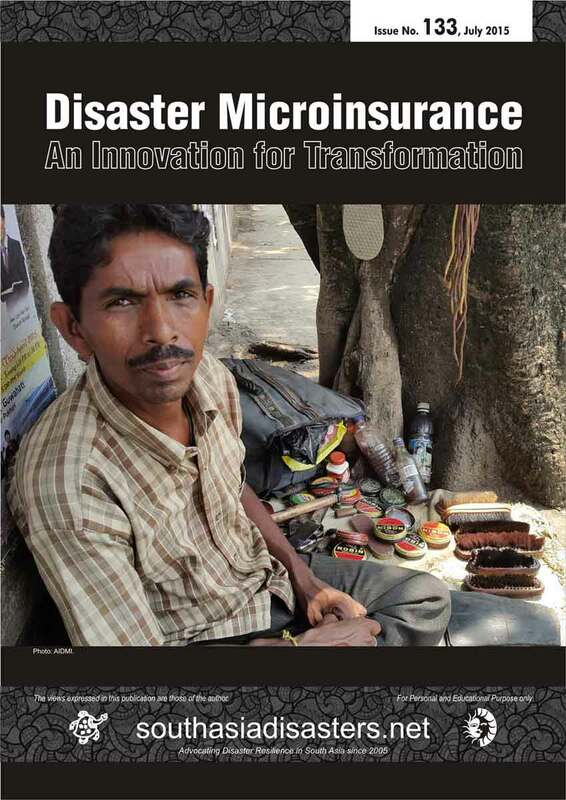 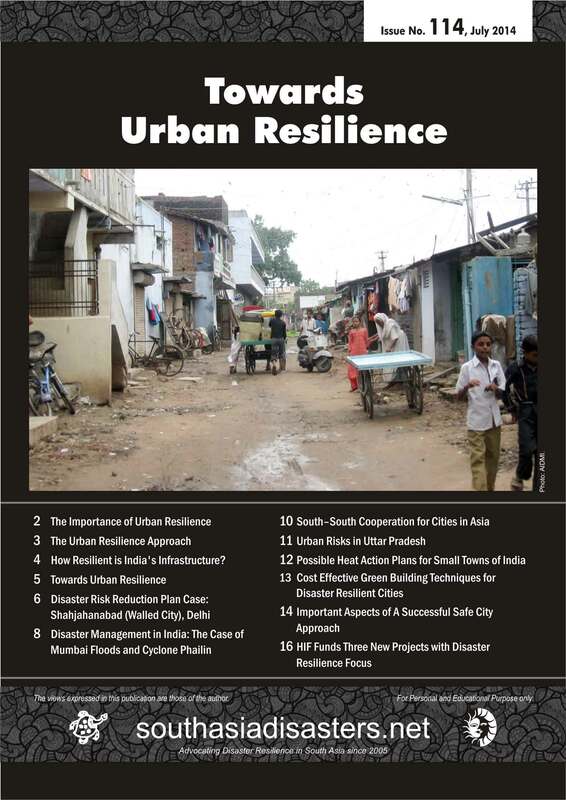 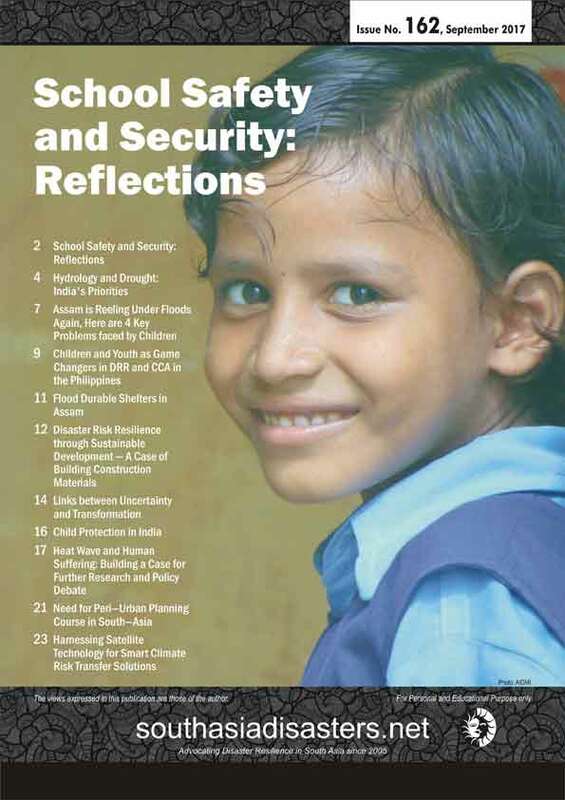 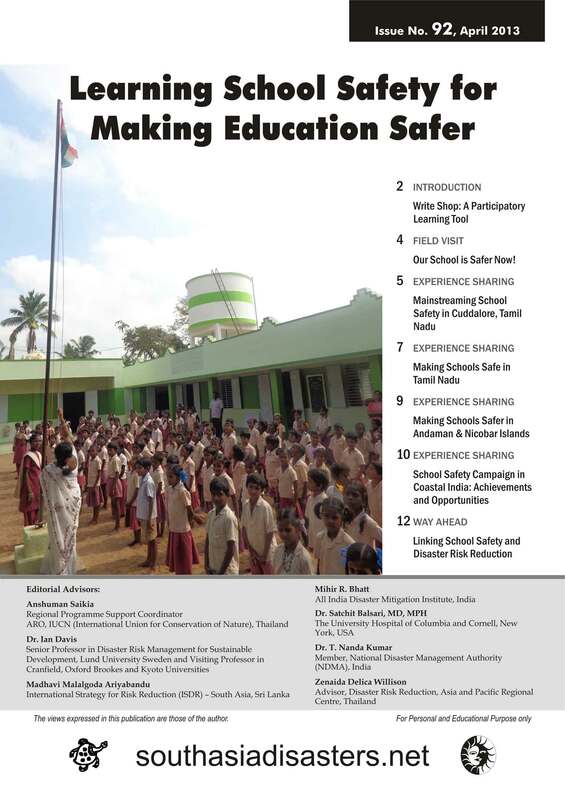 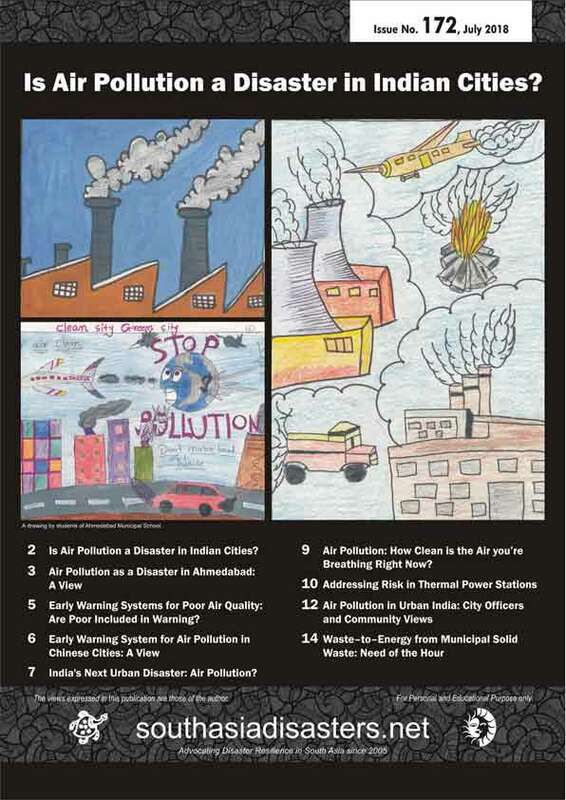 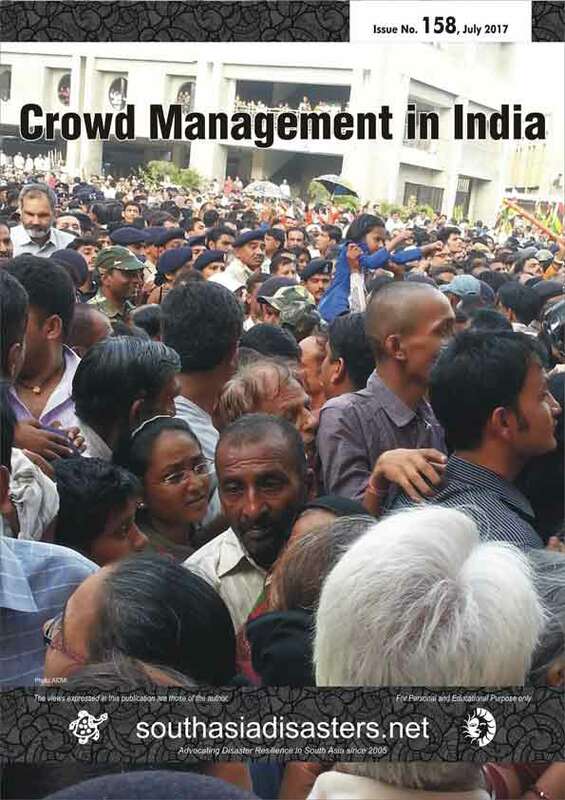 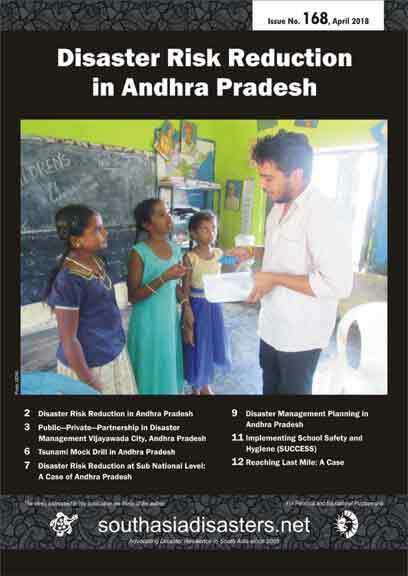 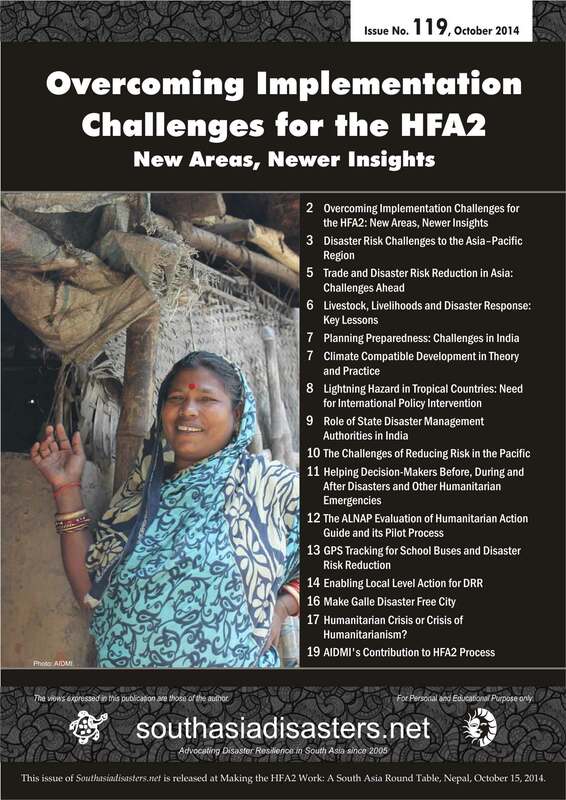 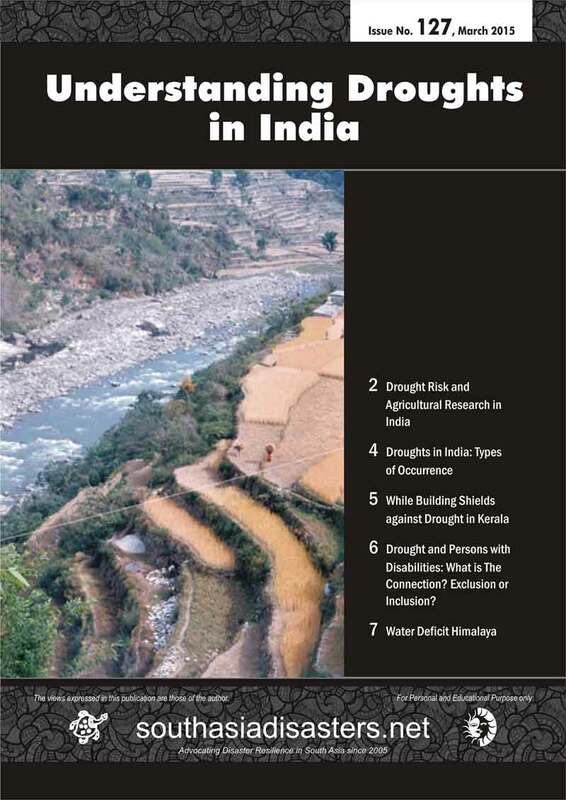 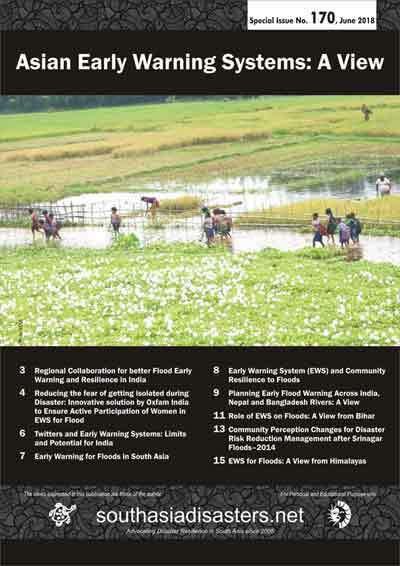 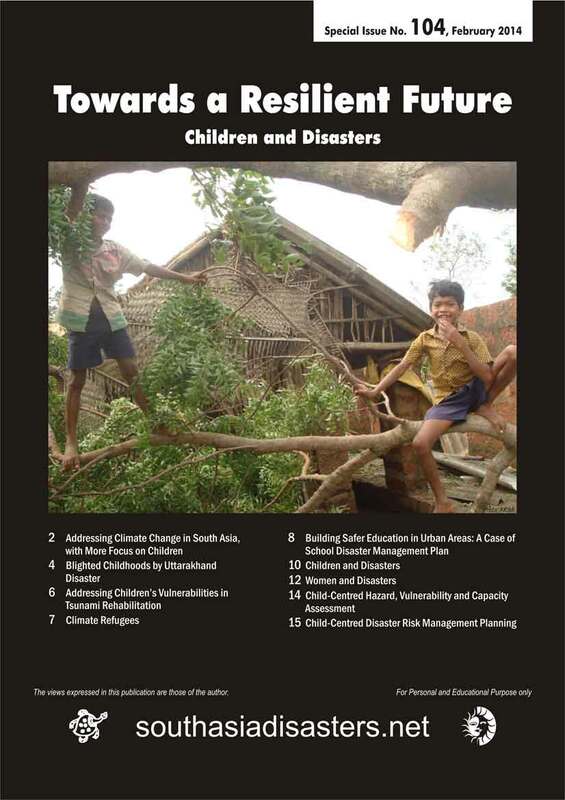 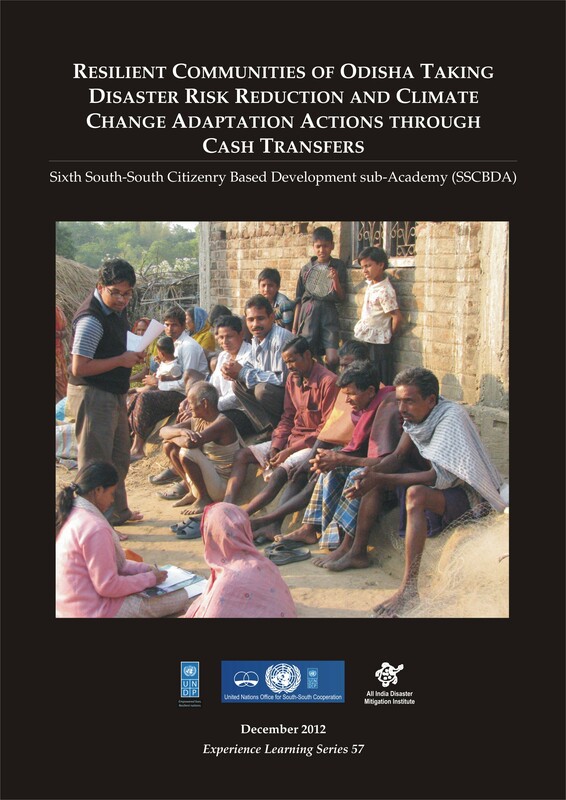 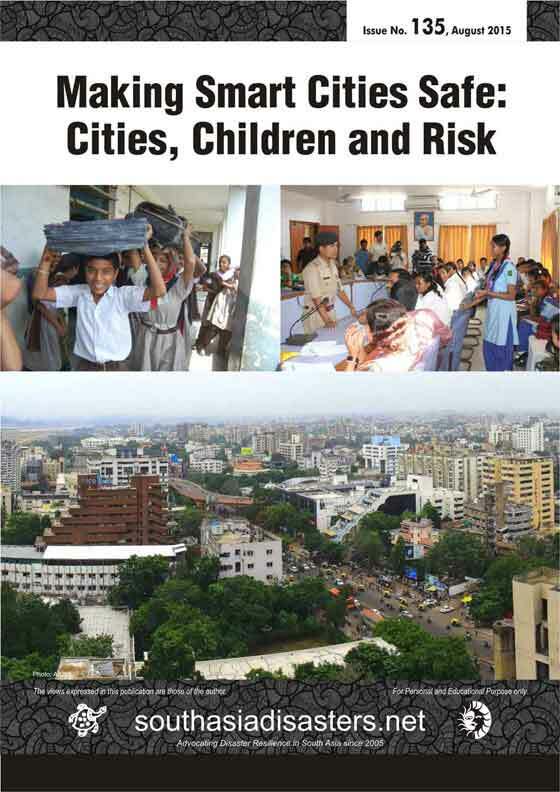 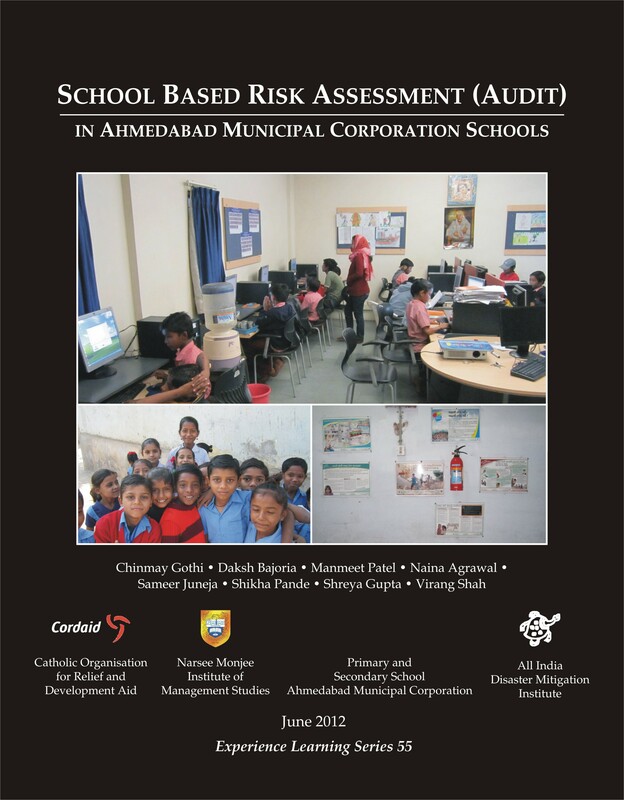 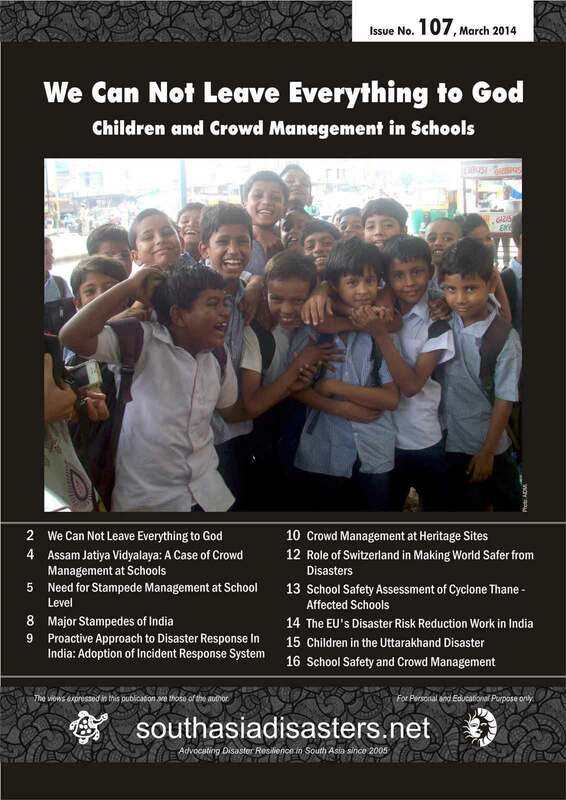 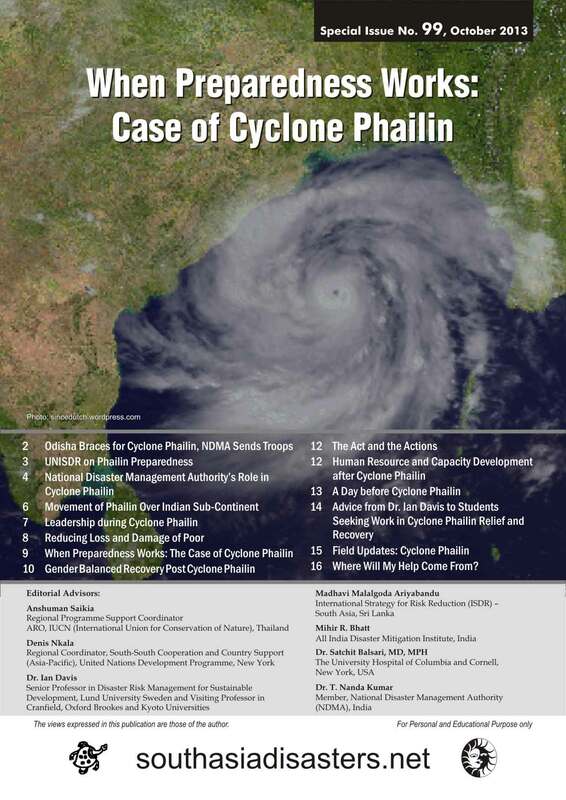 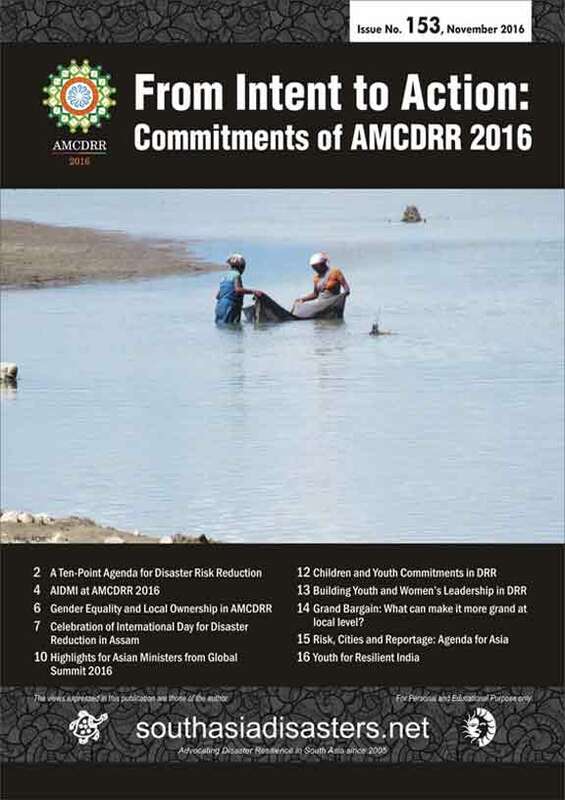 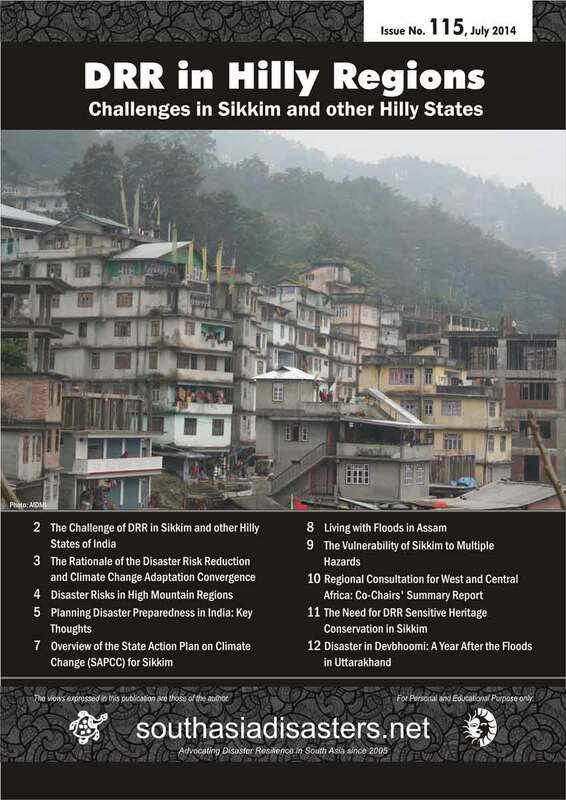 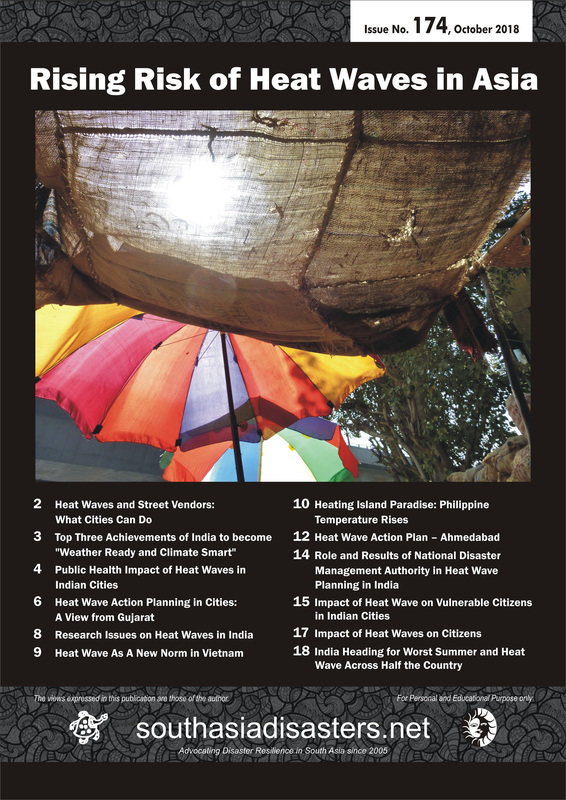 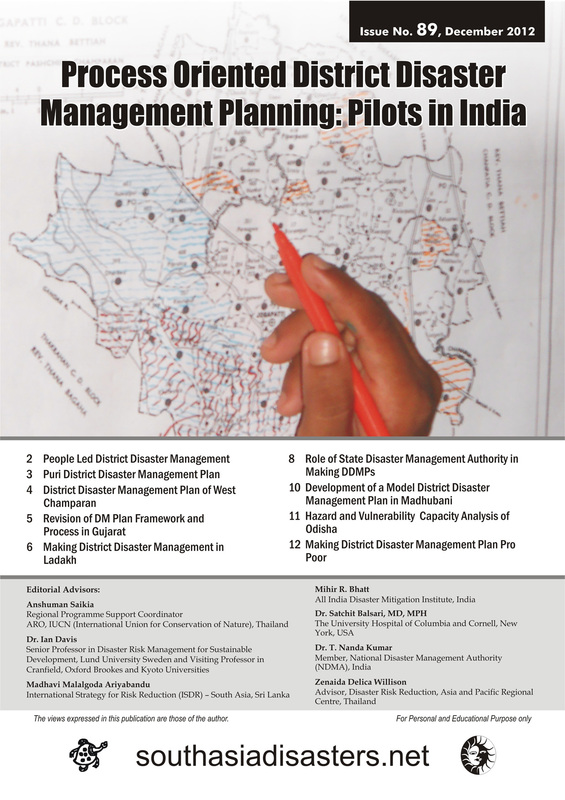 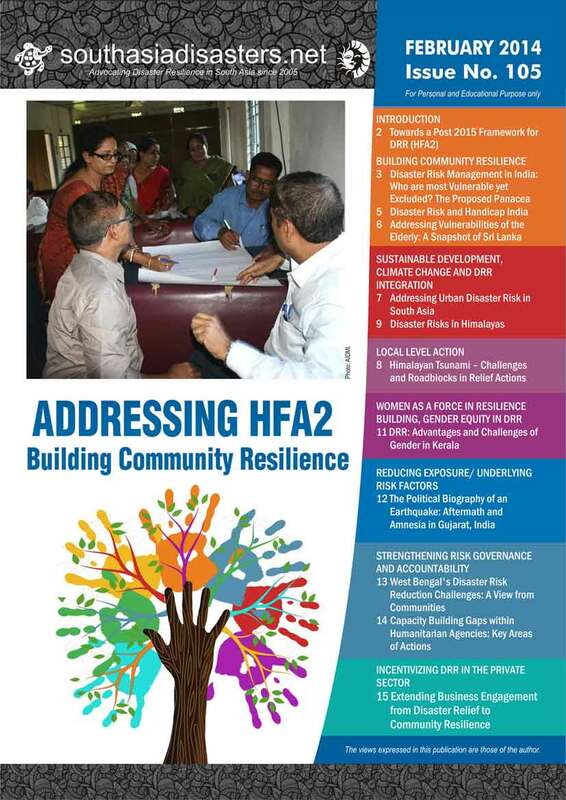 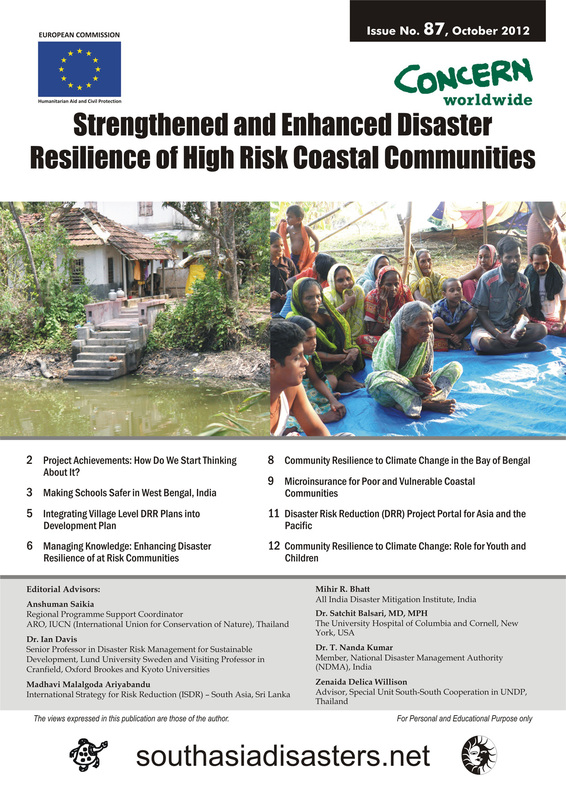 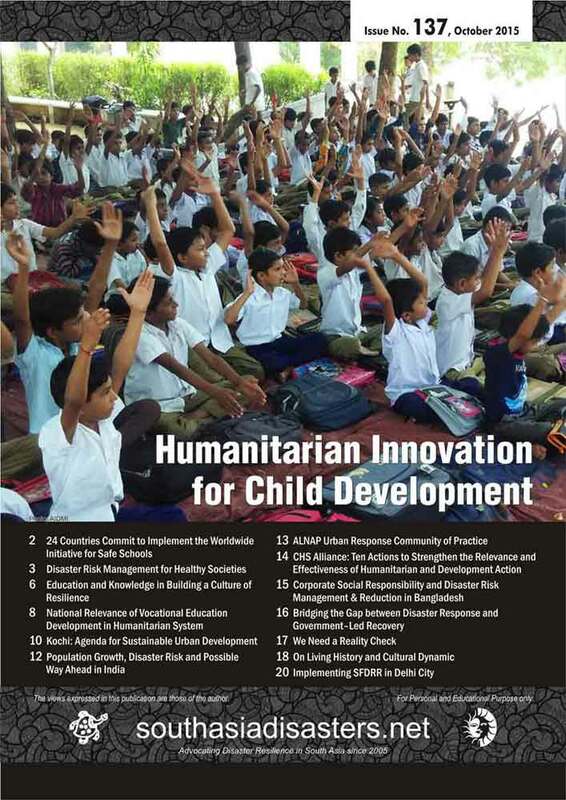 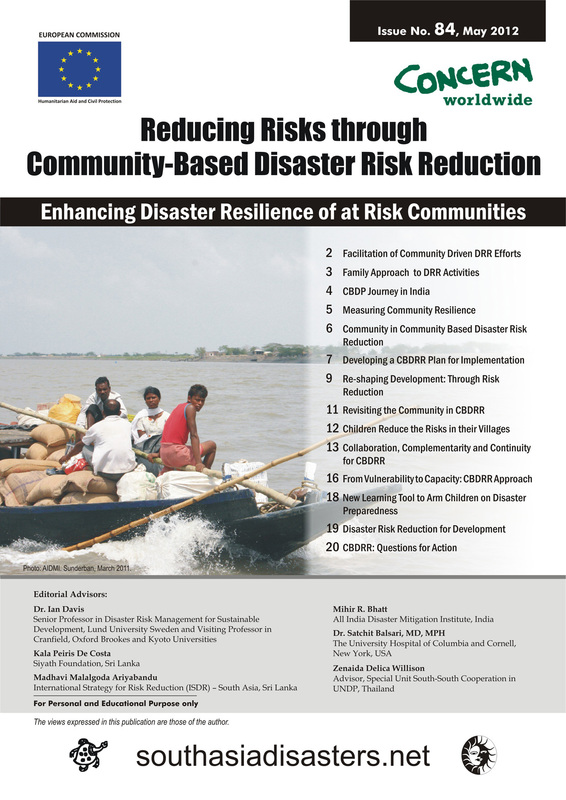 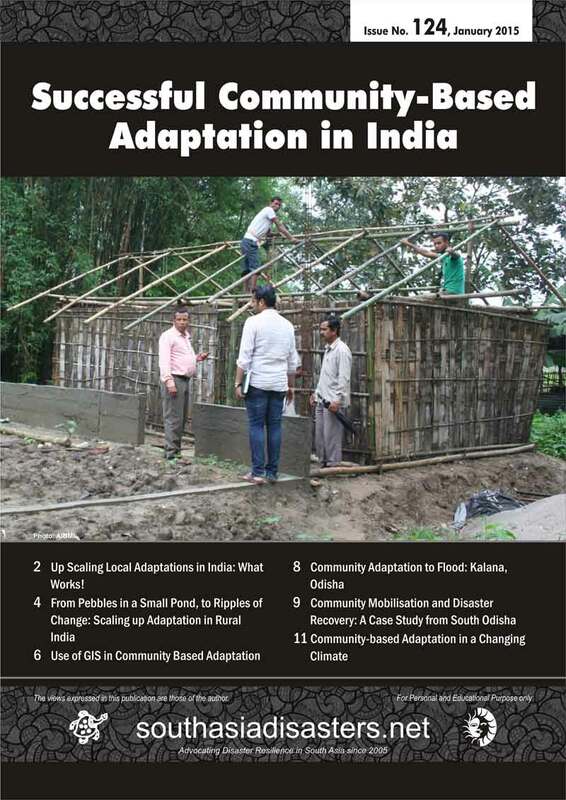 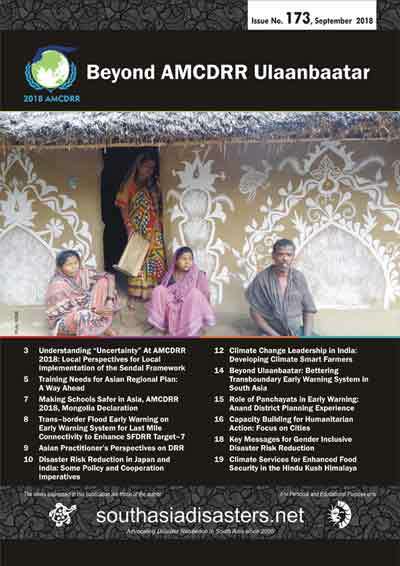 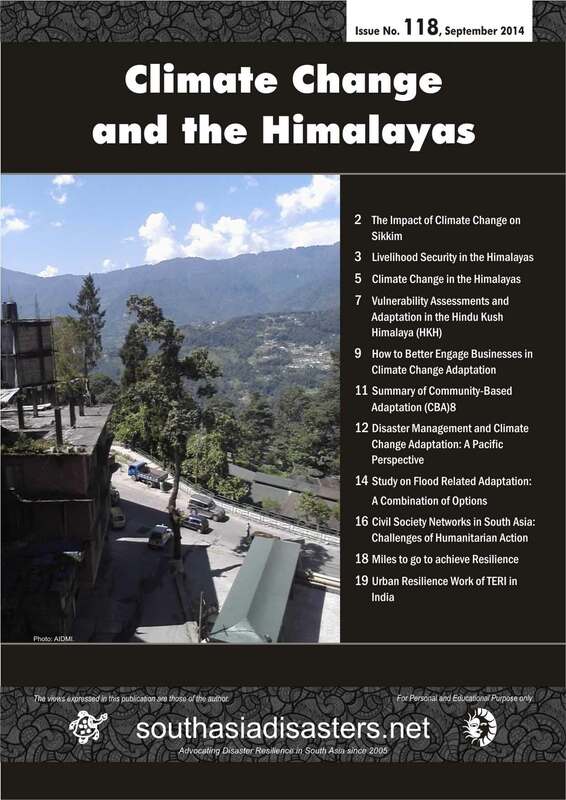 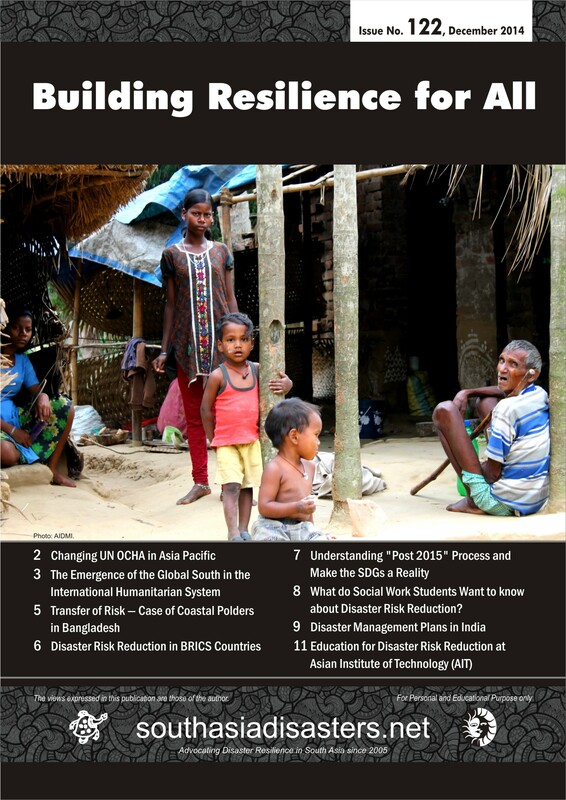 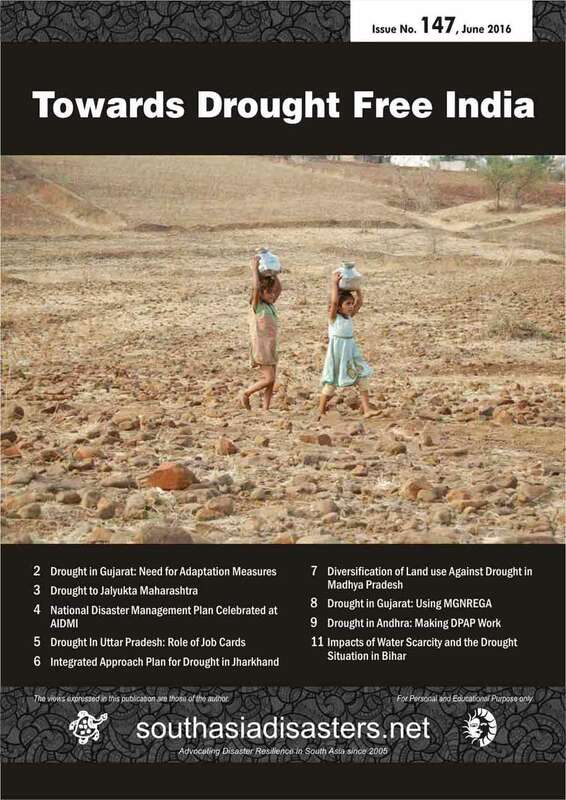 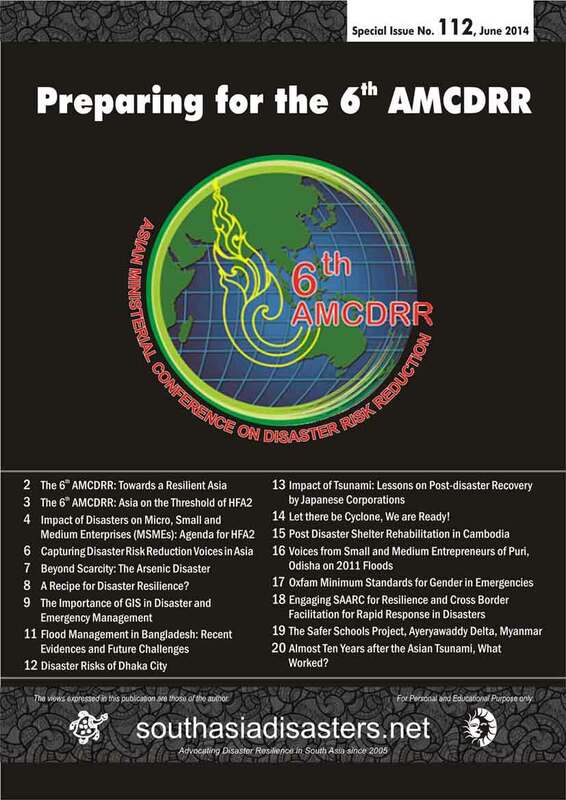 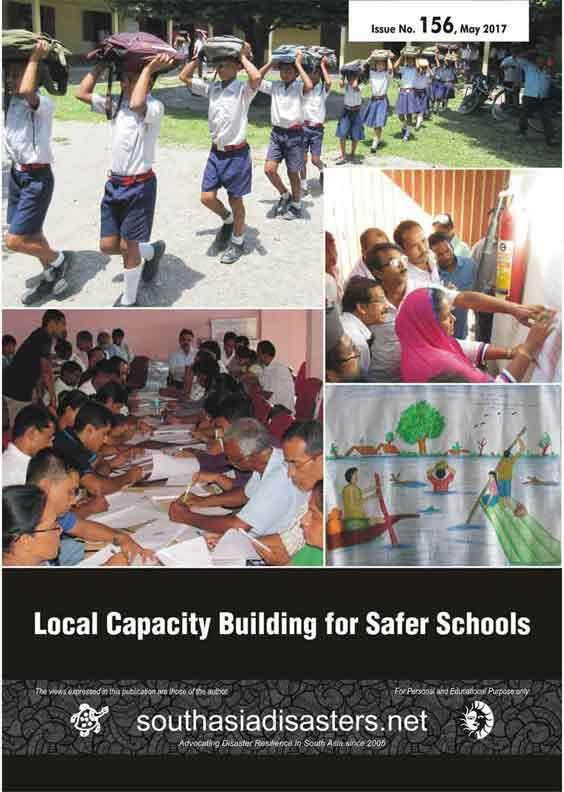 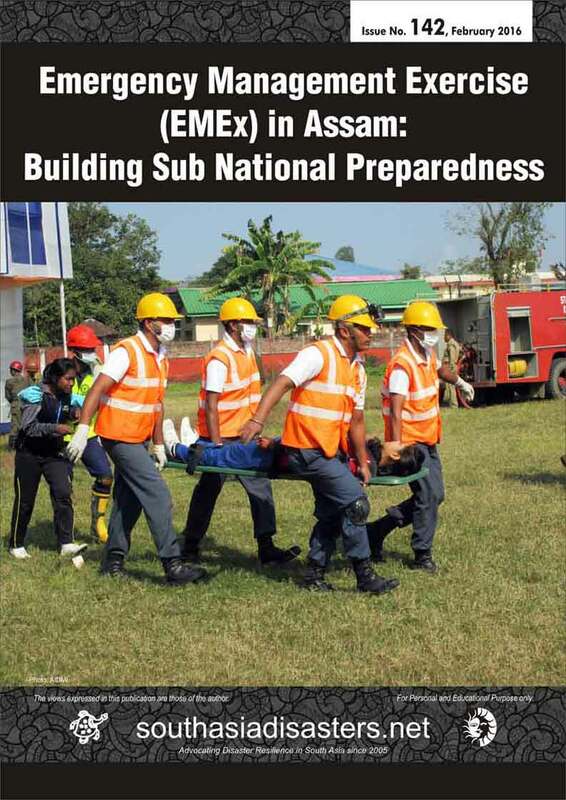 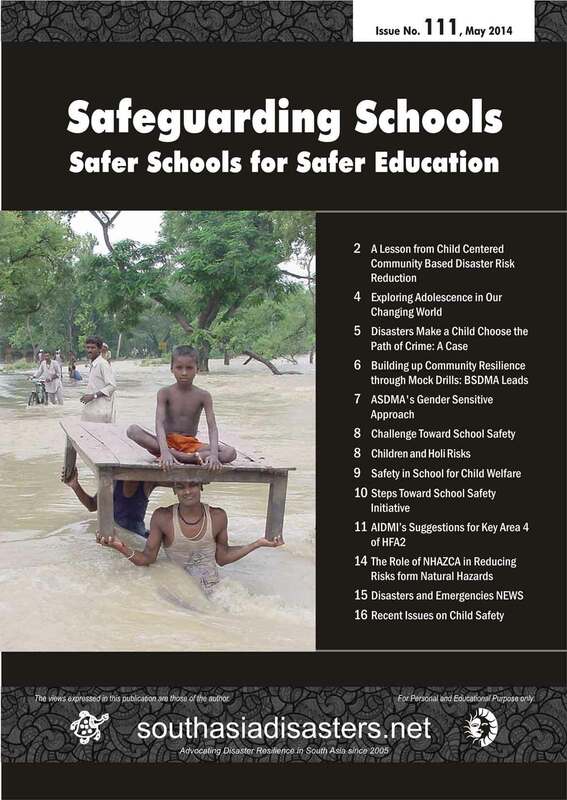 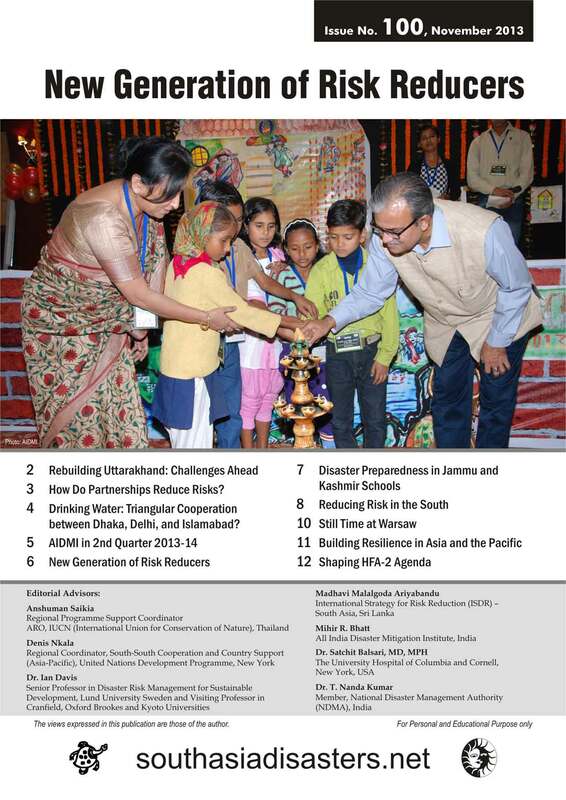 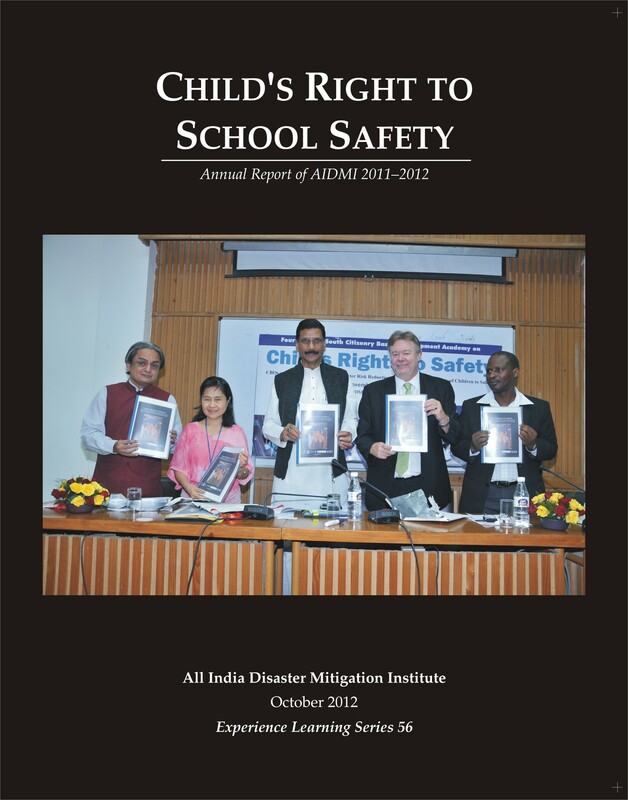 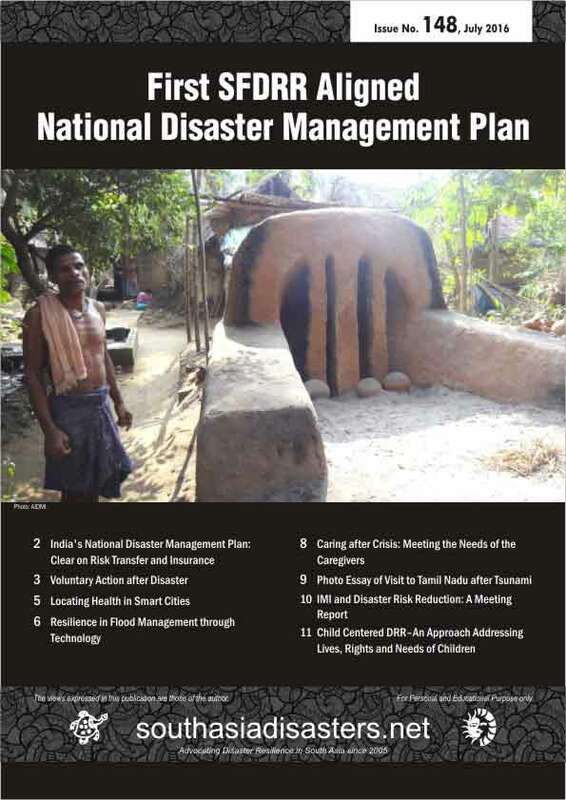 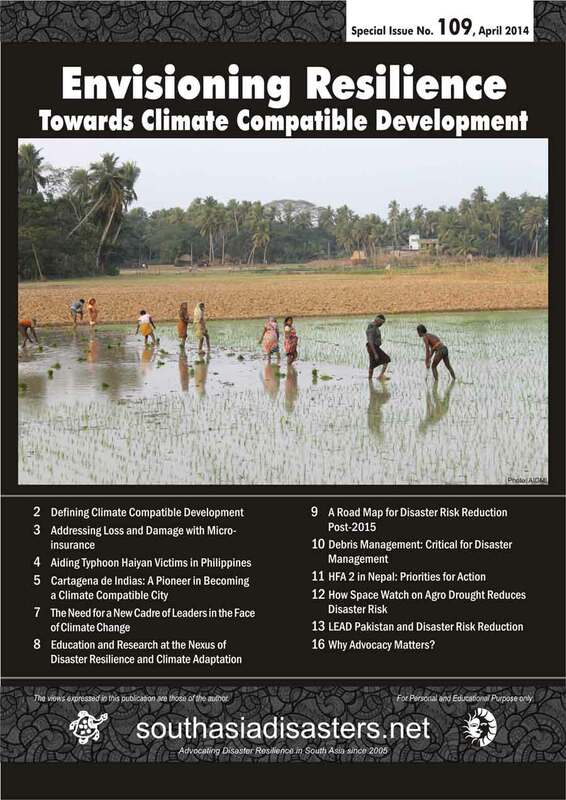 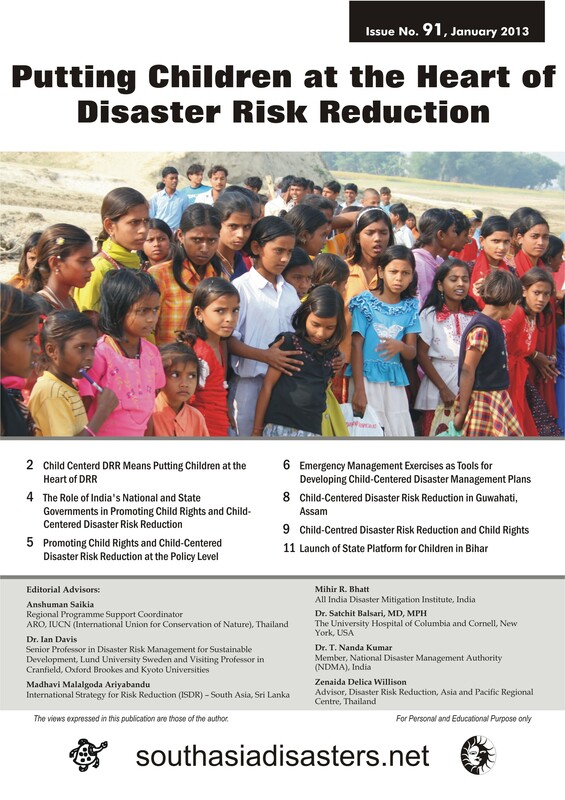 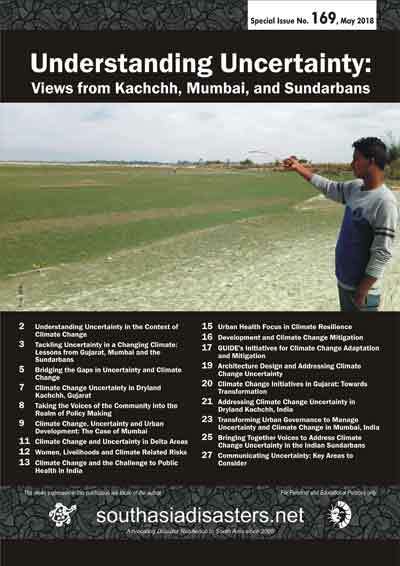 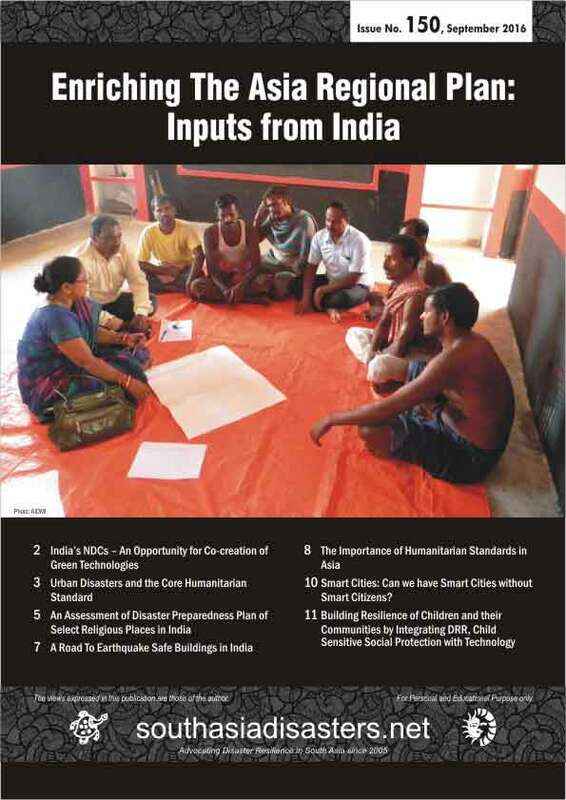 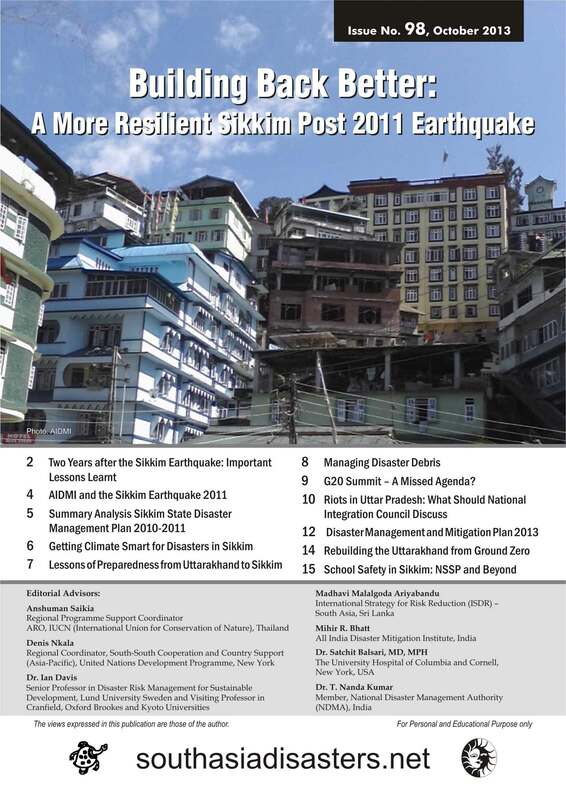 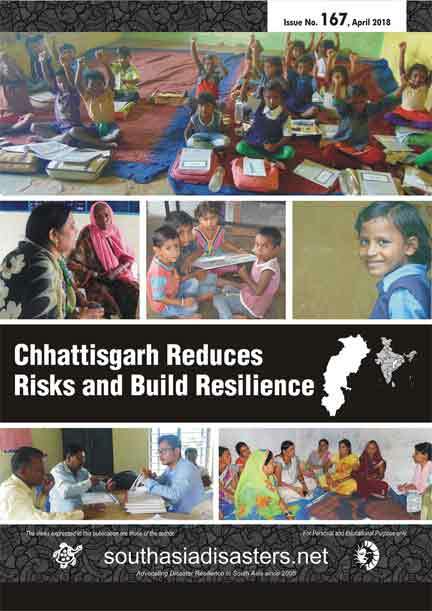 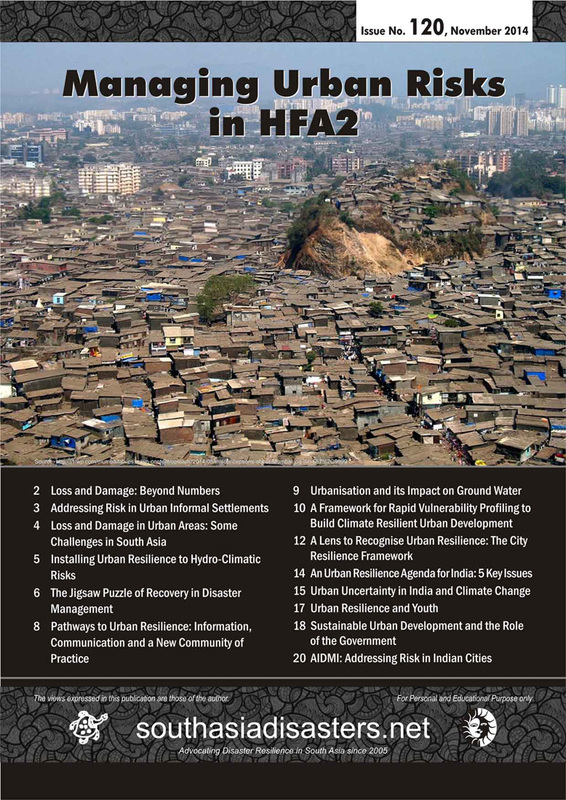 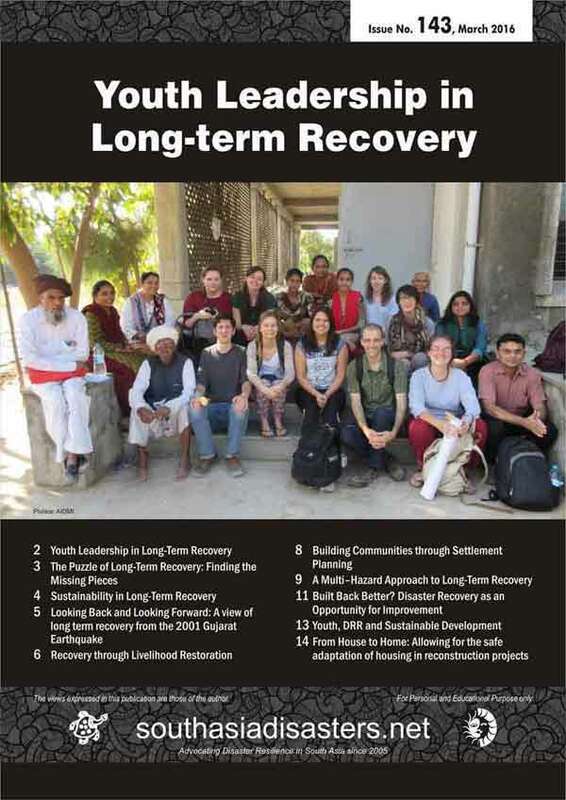 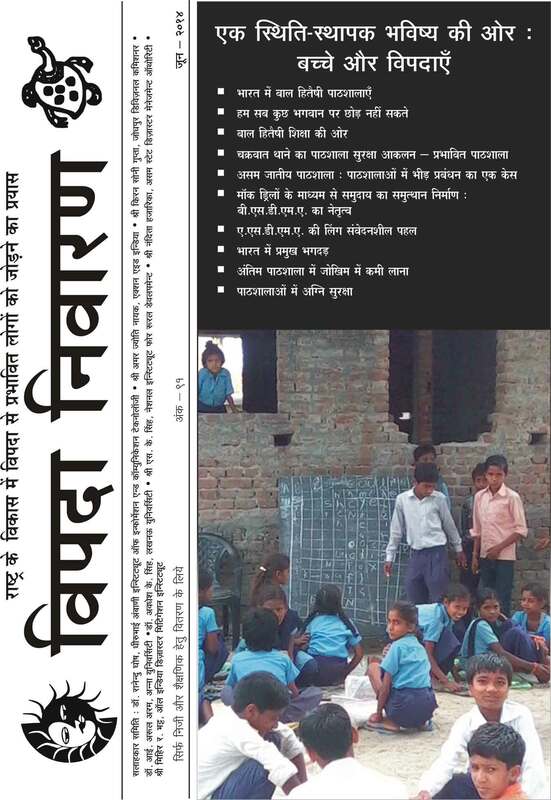 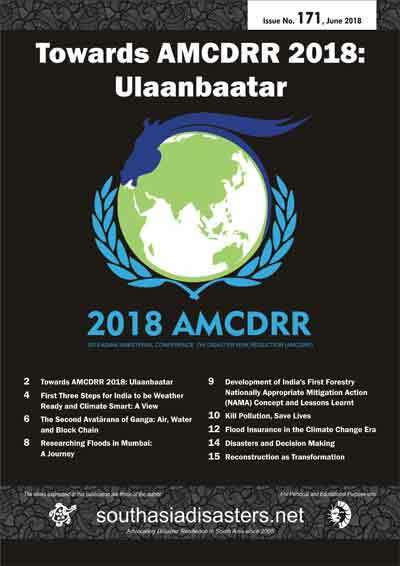 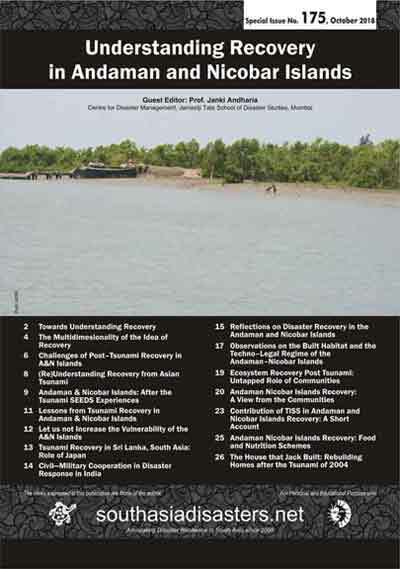 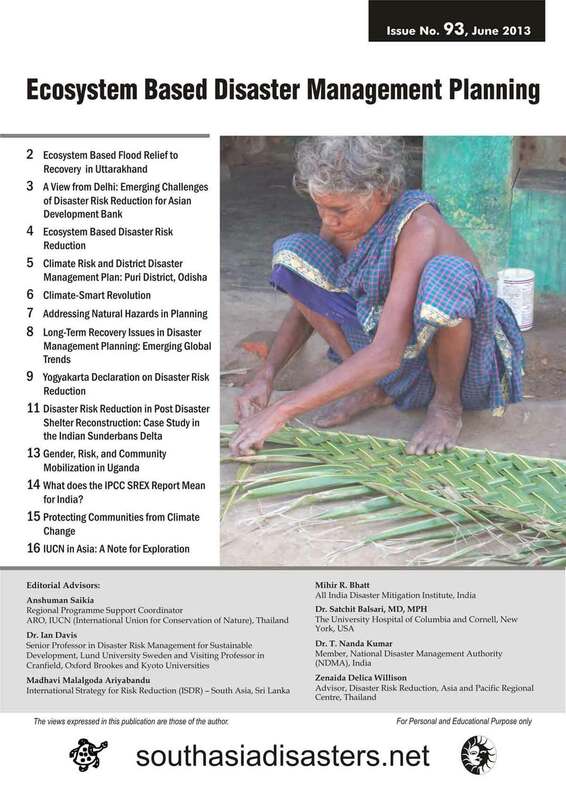 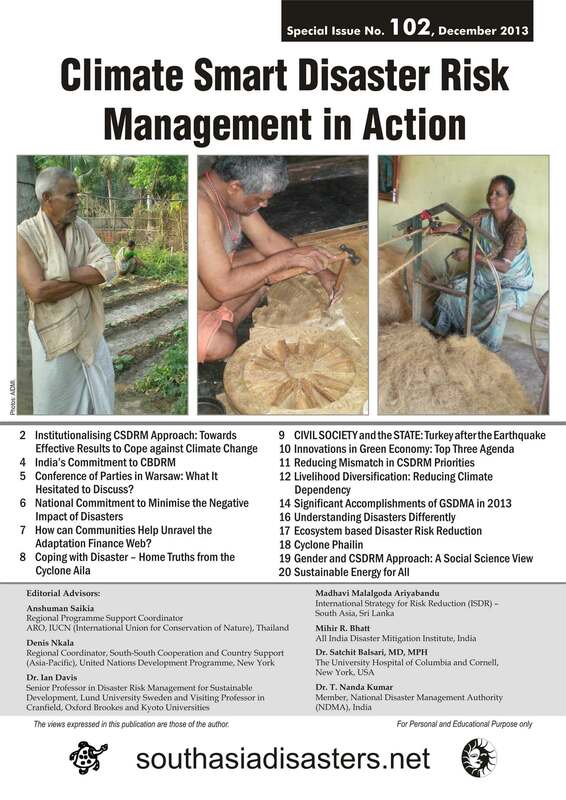 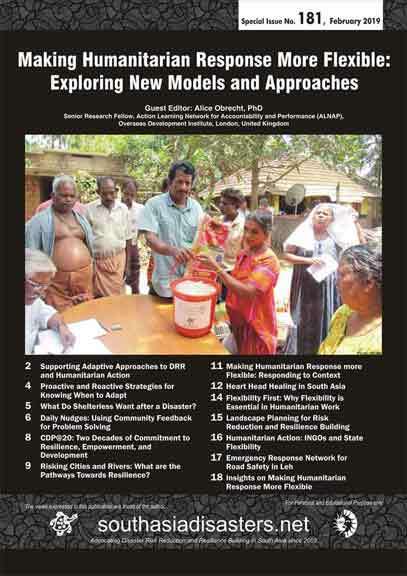 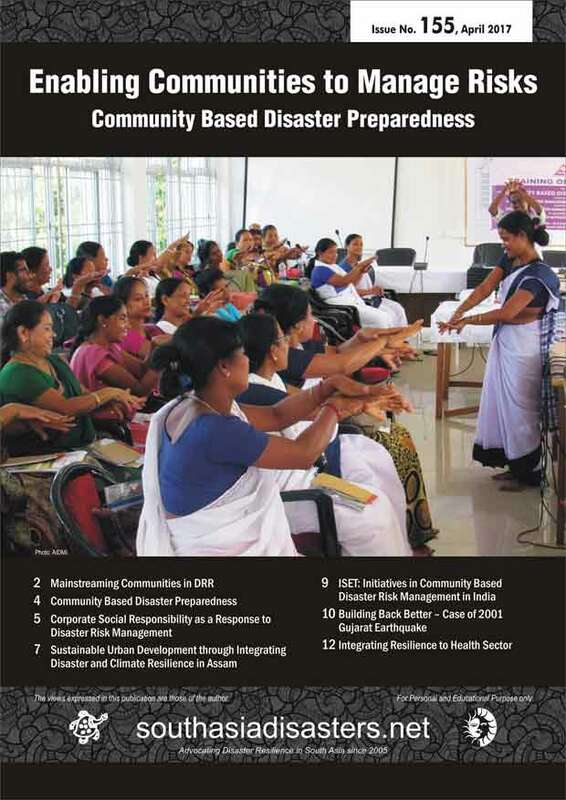 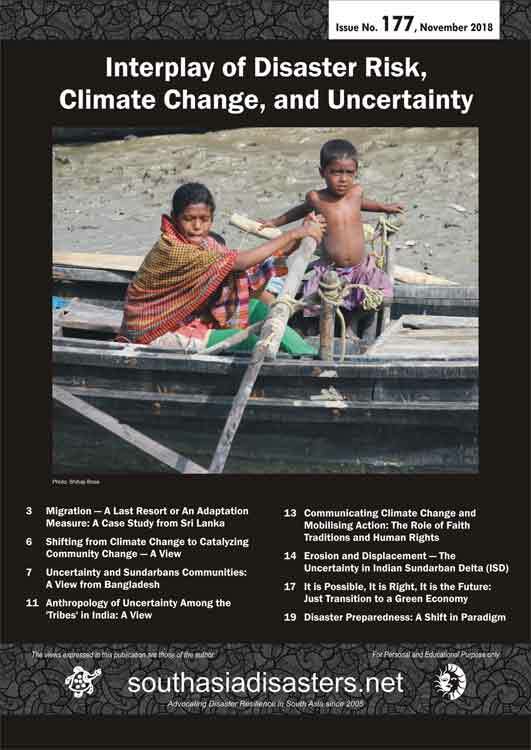 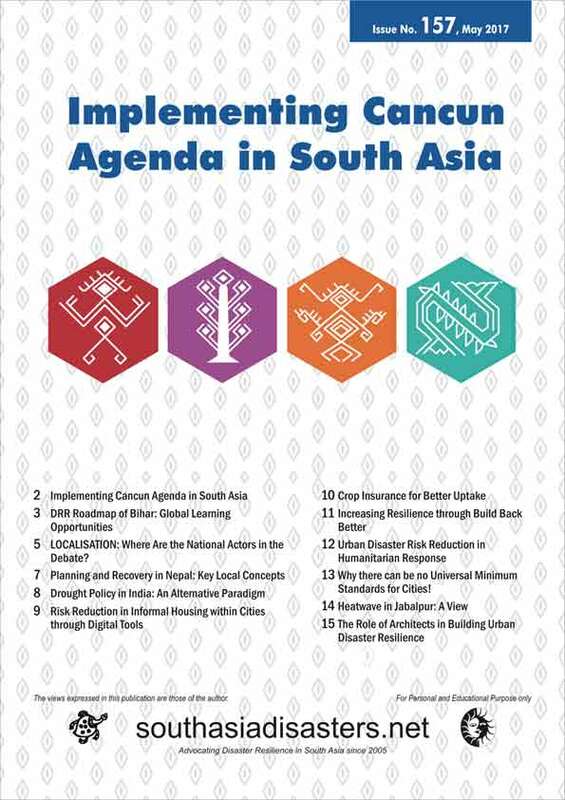 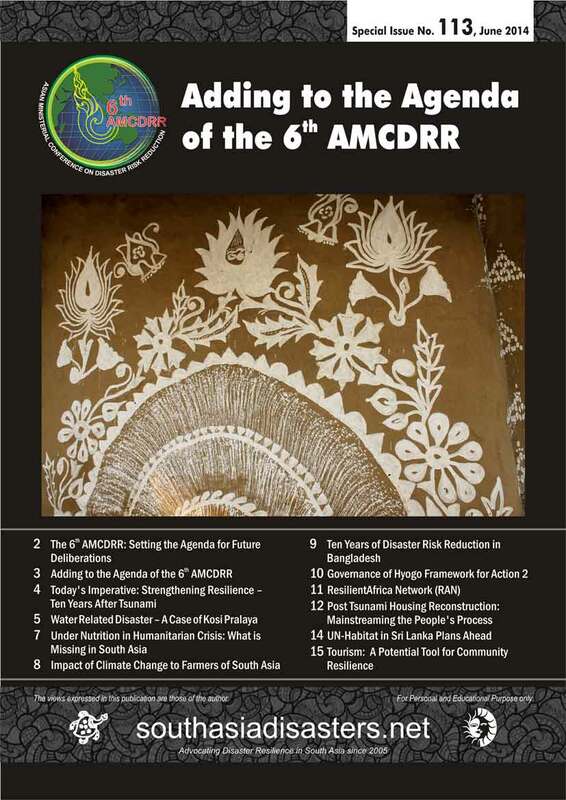 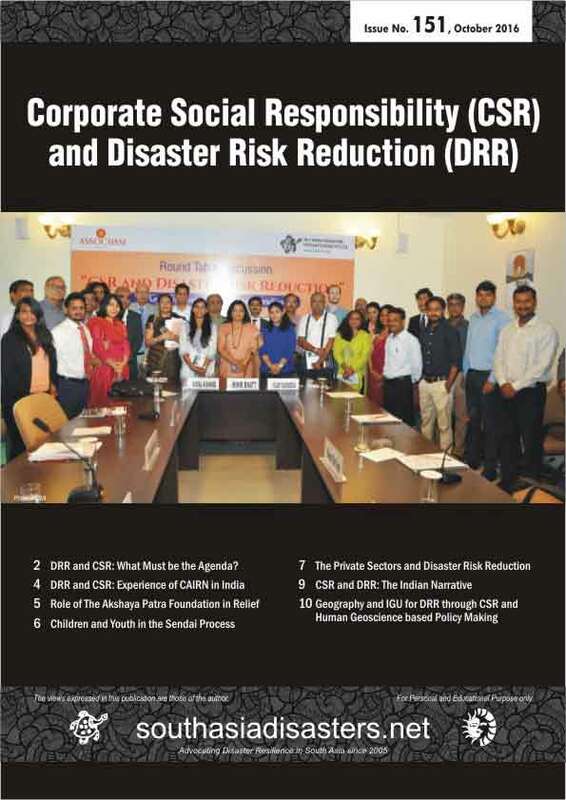 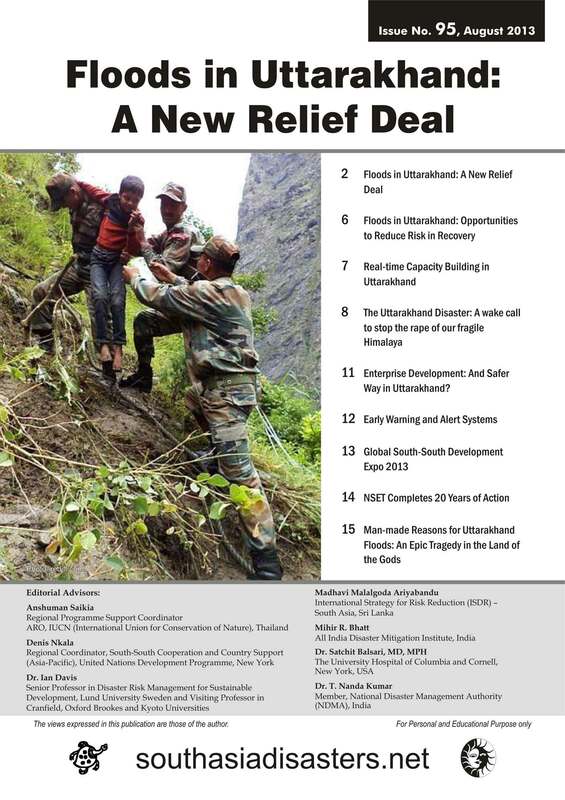 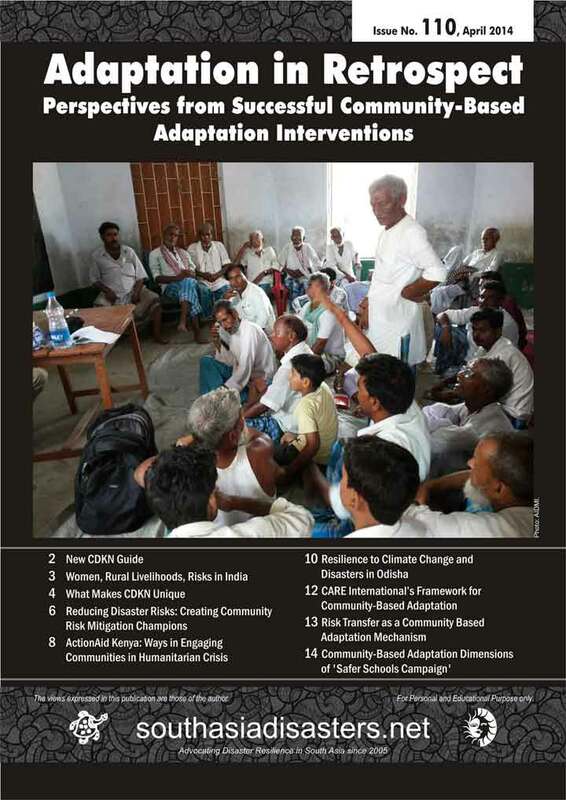 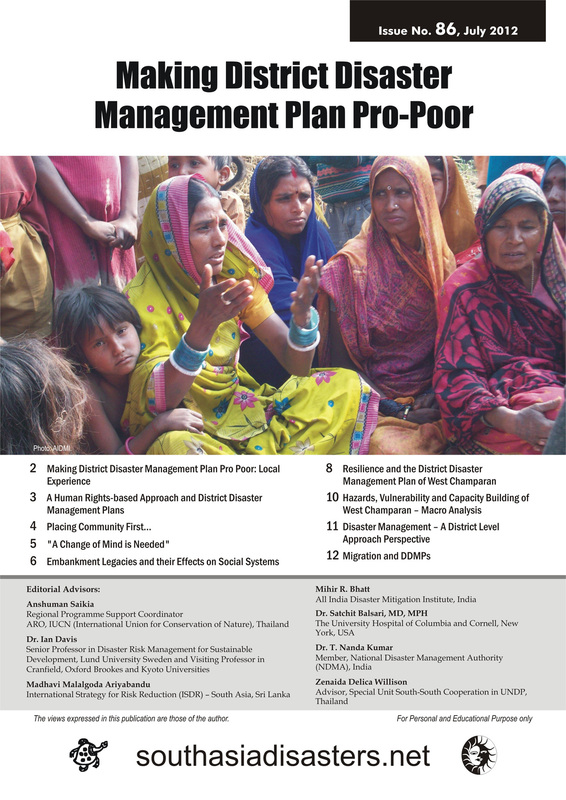 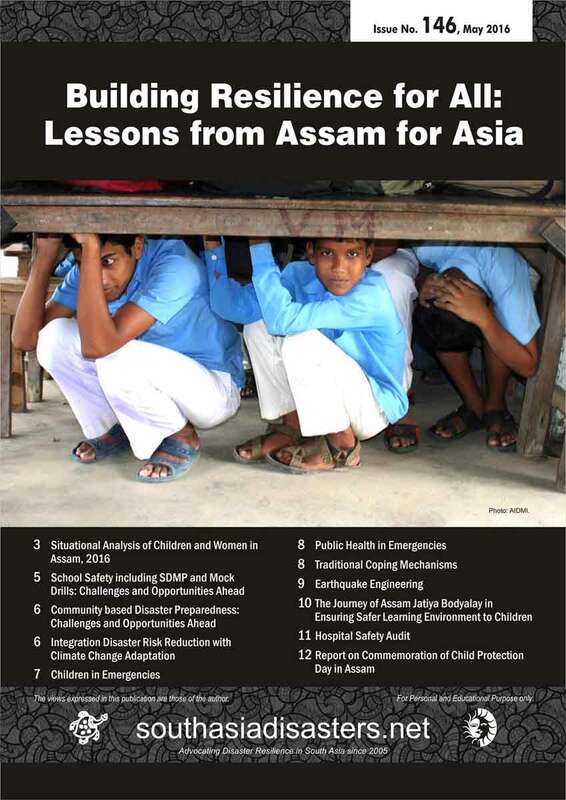 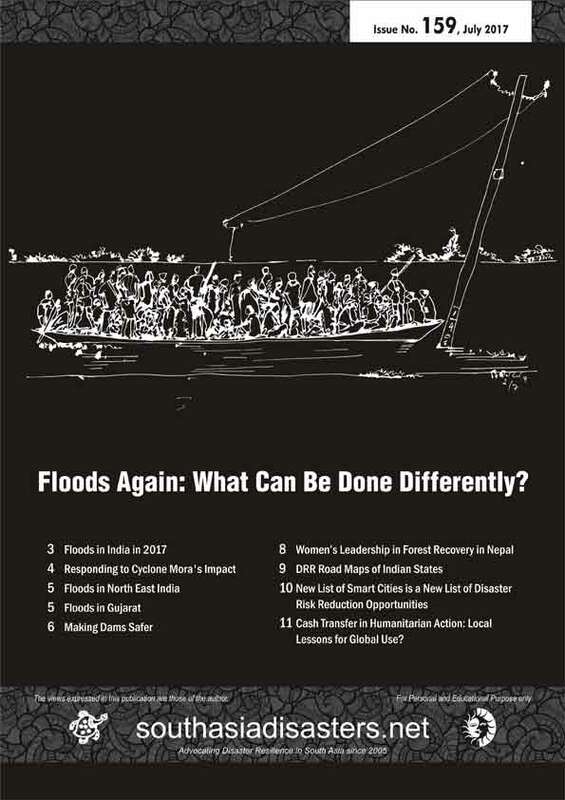 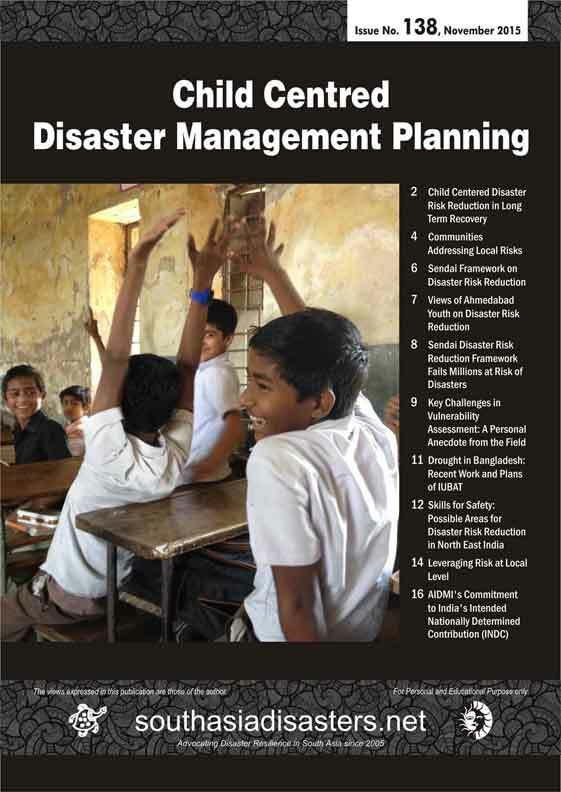 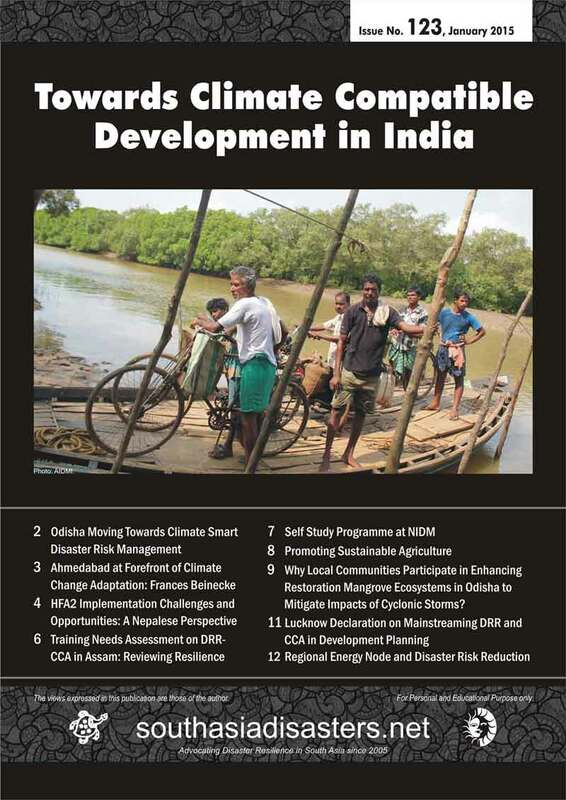 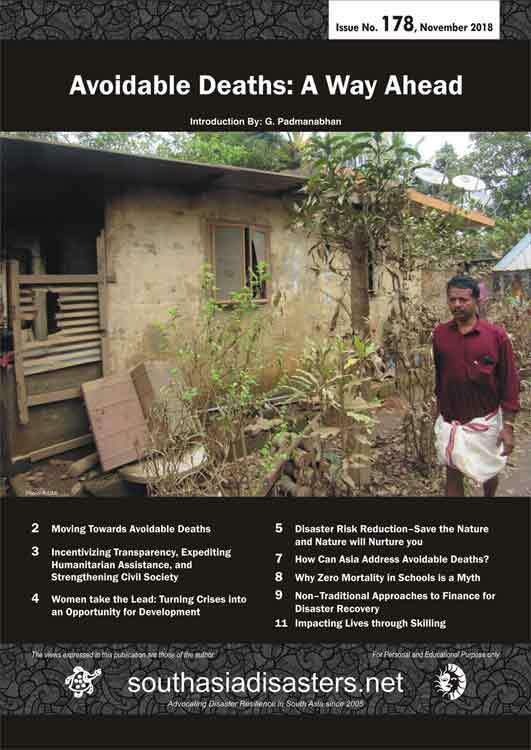 Through this publication AIDMI has successfully enhanced knowledge and innovation for effective DRR in India and beyond. 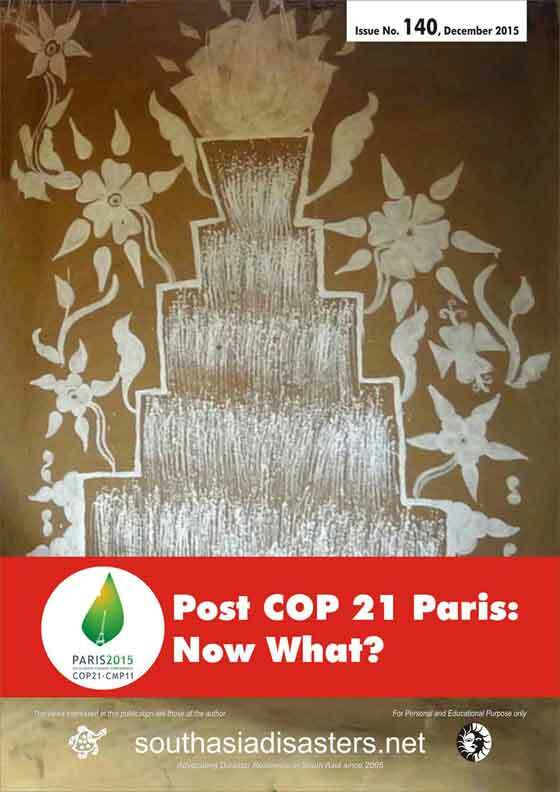 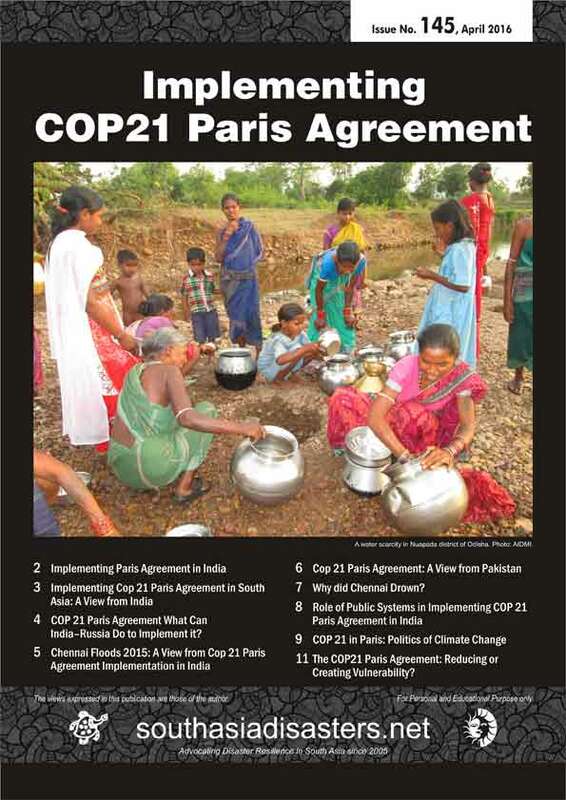 140: Post COP 21 Paris: Now What?